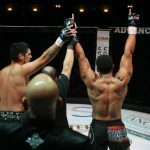 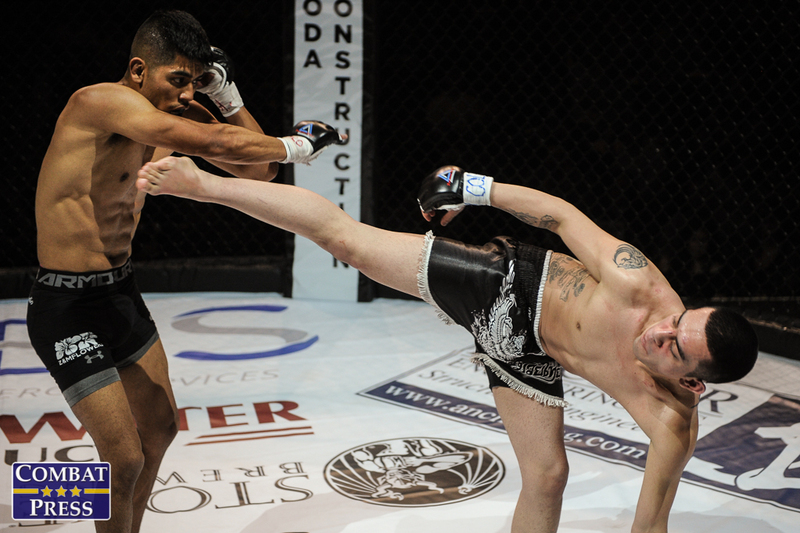 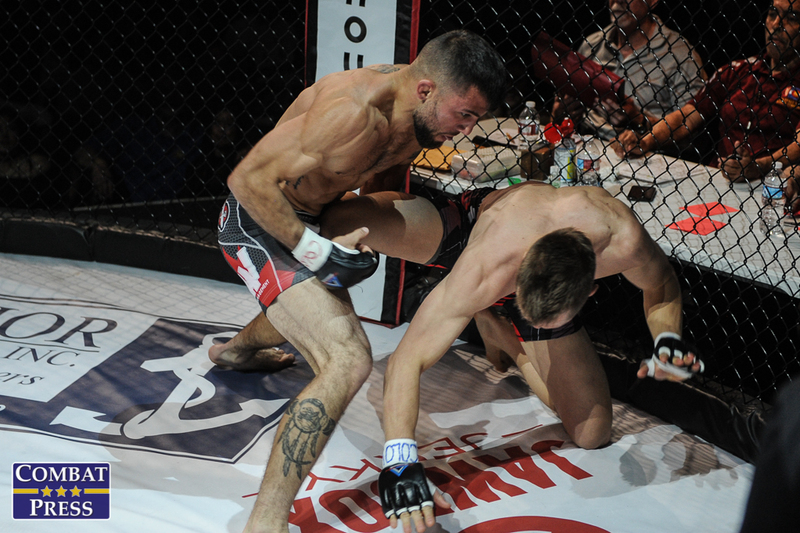 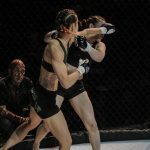 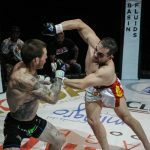 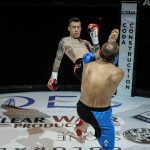 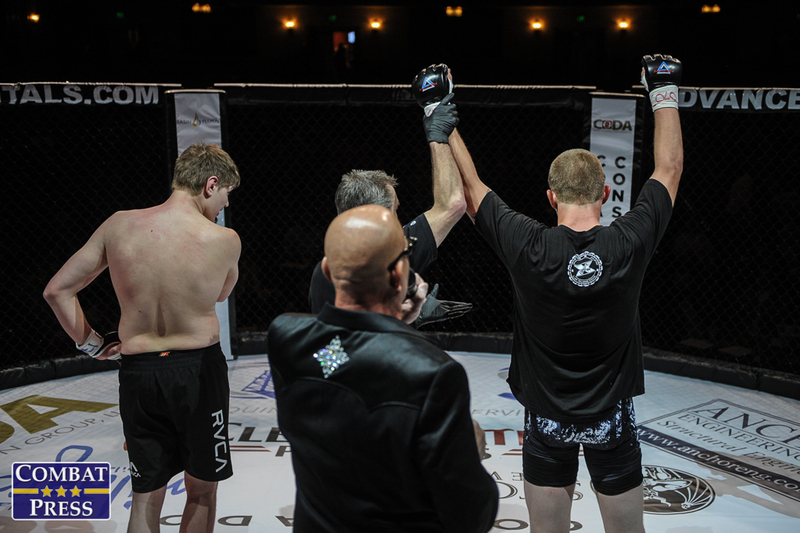 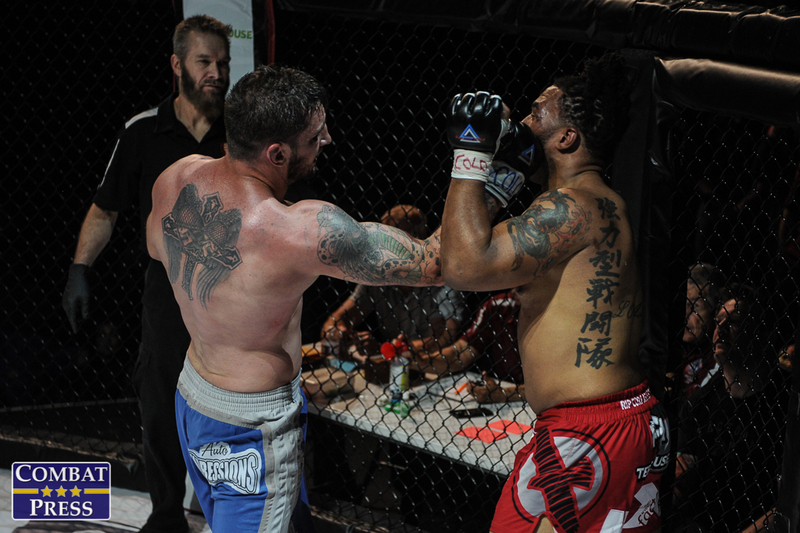 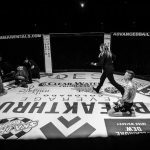 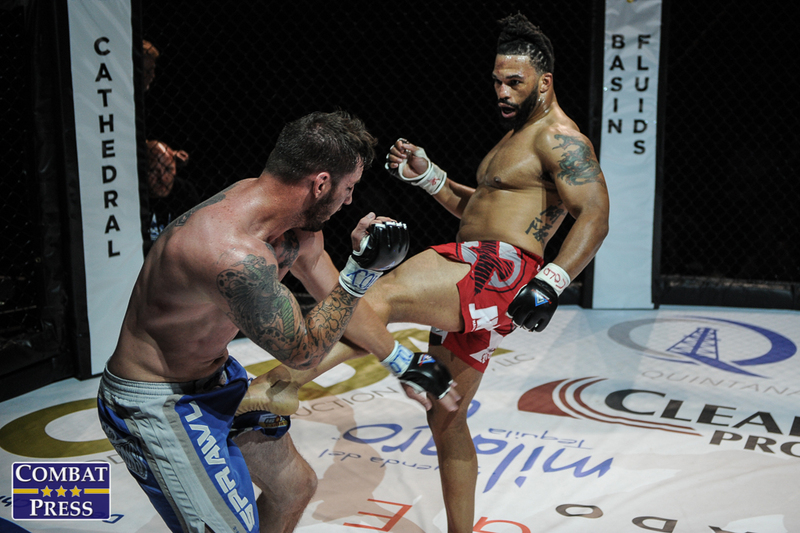 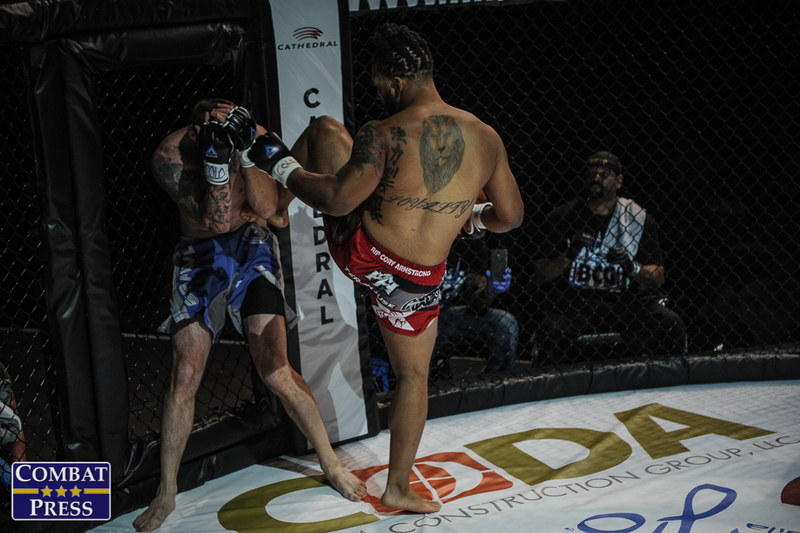 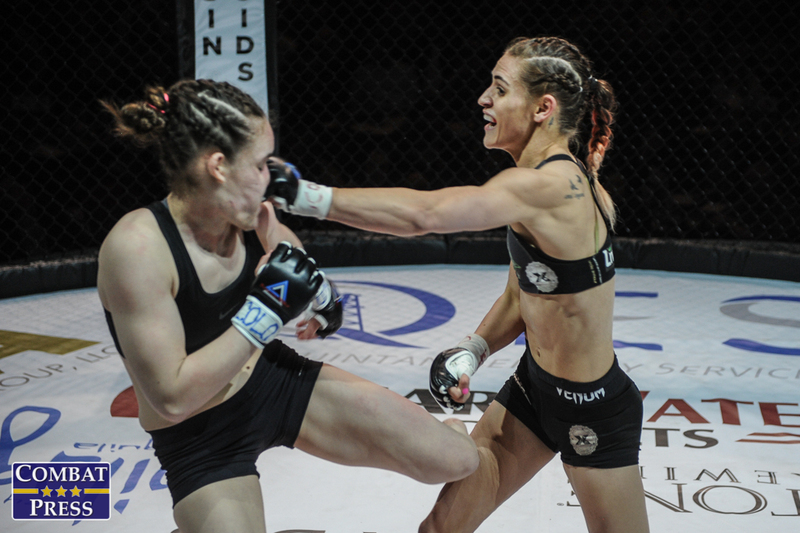 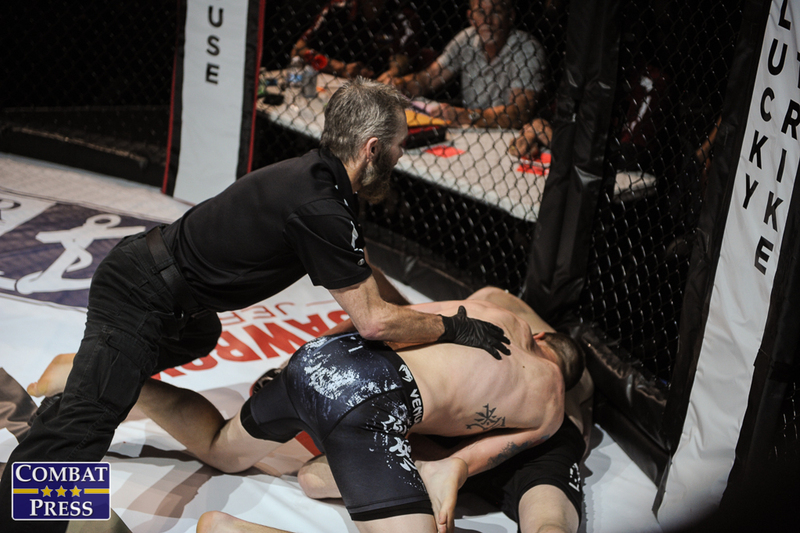 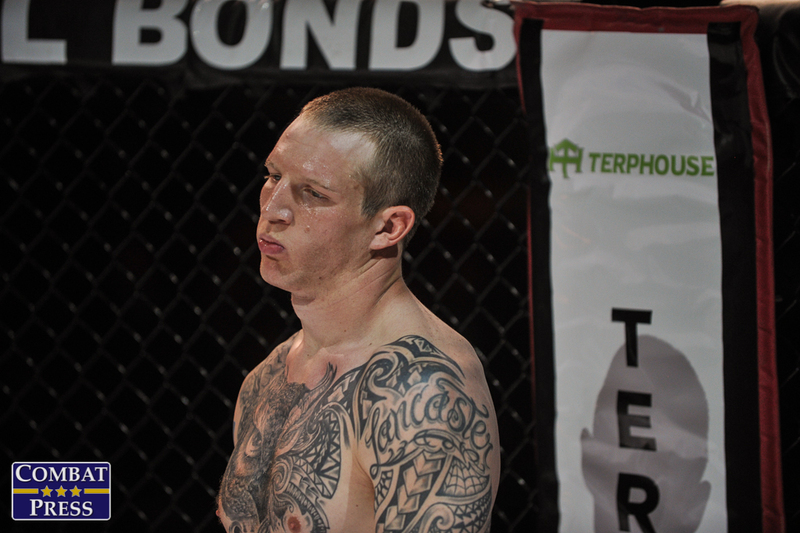 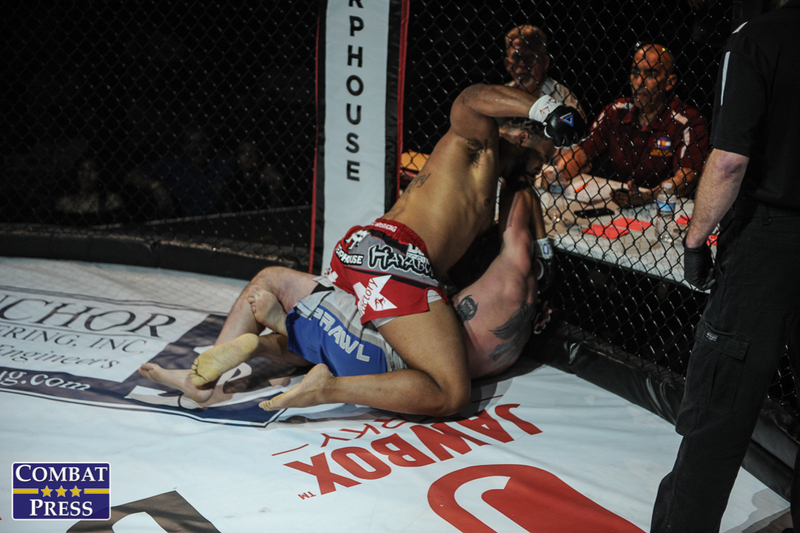 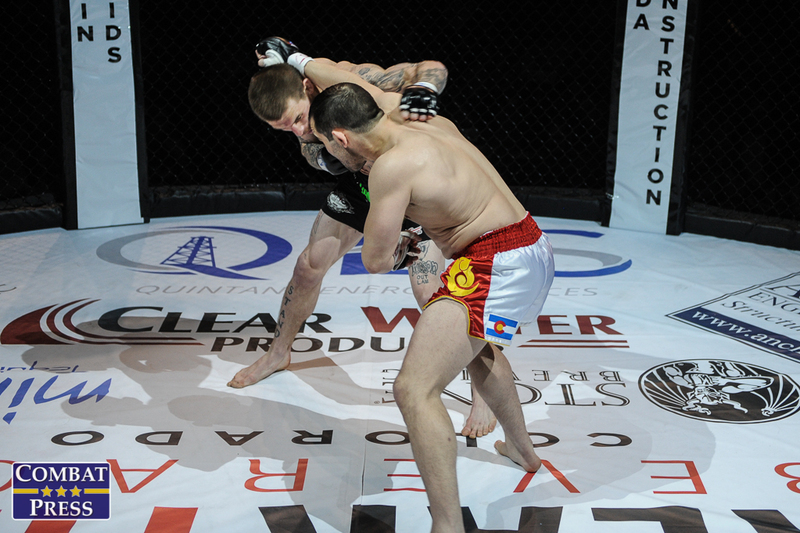 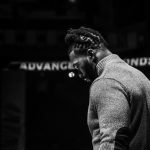 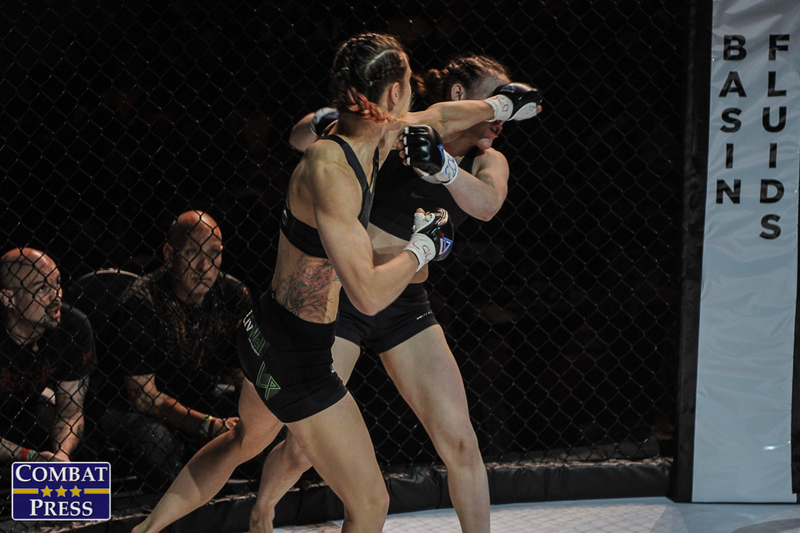 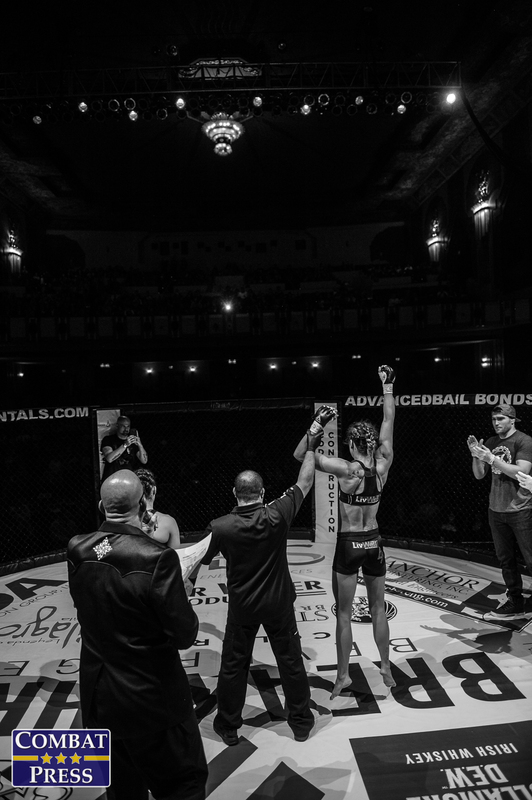 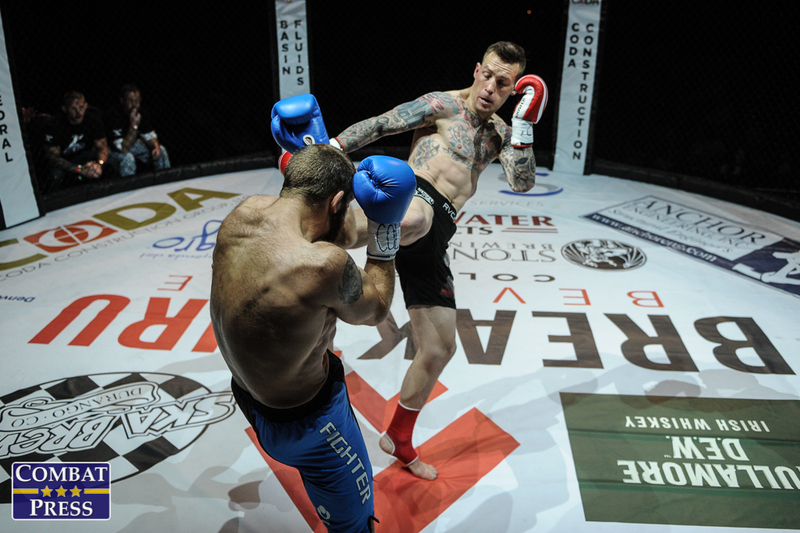 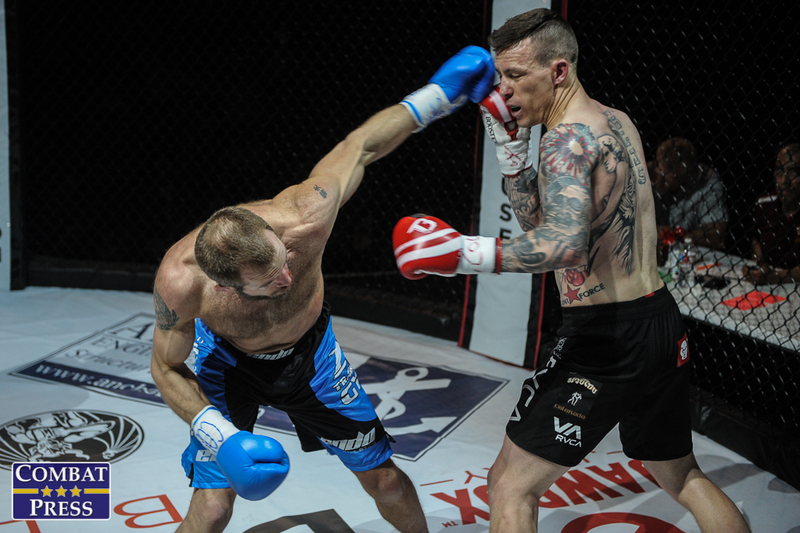 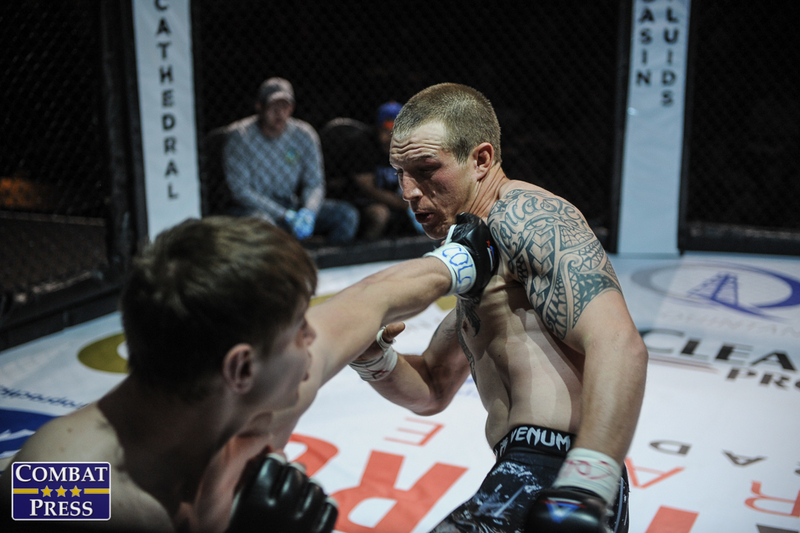 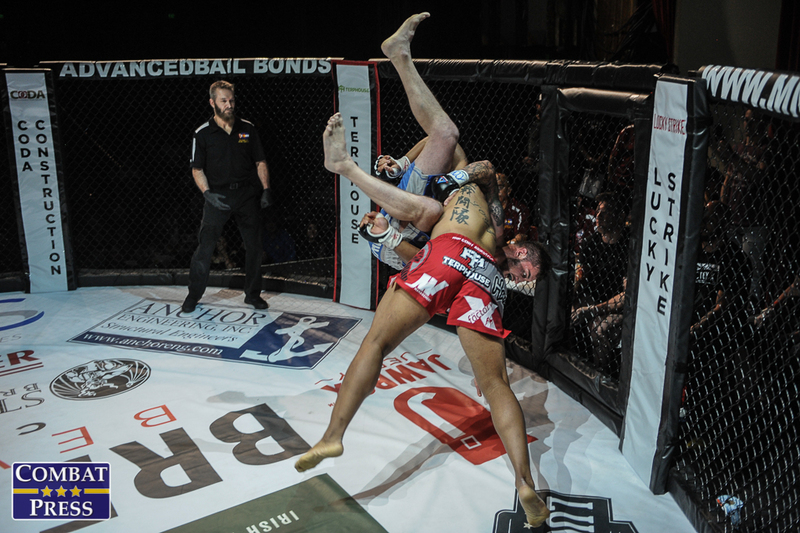 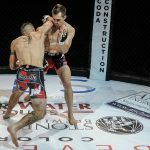 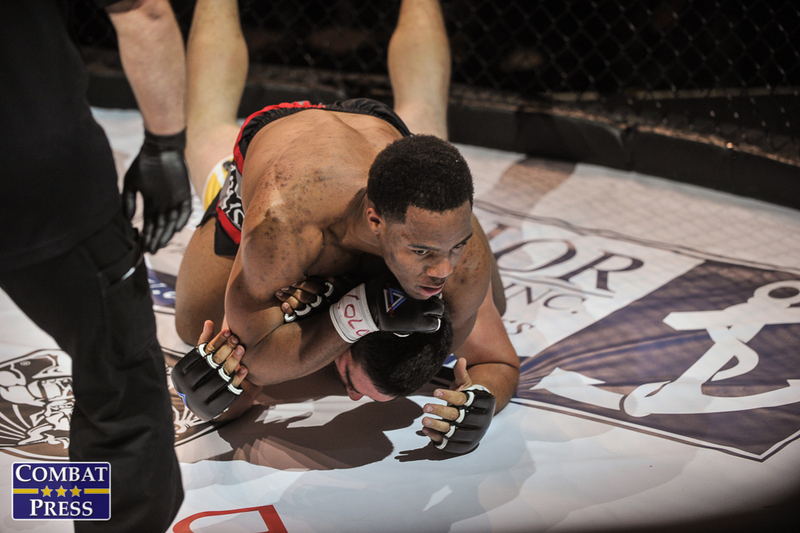 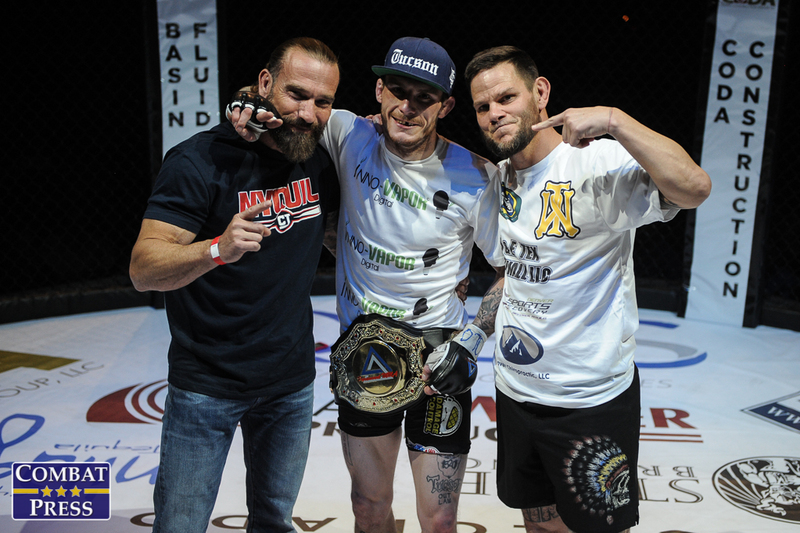 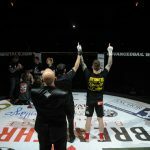 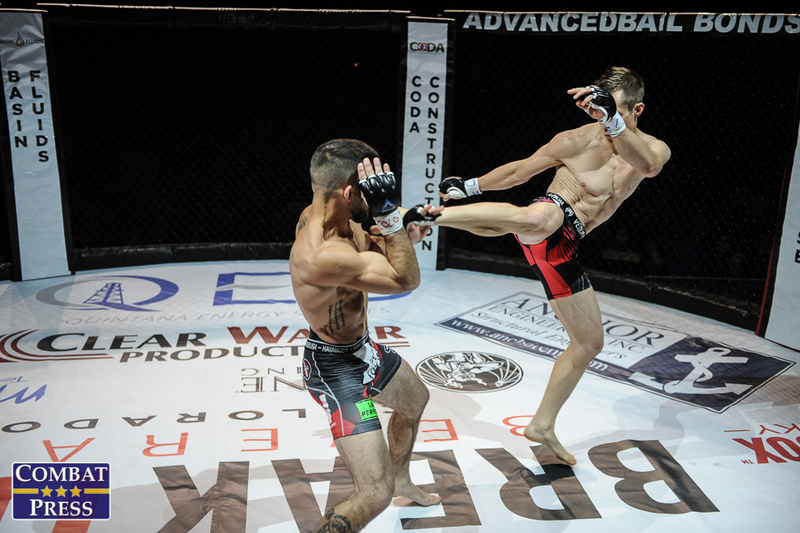 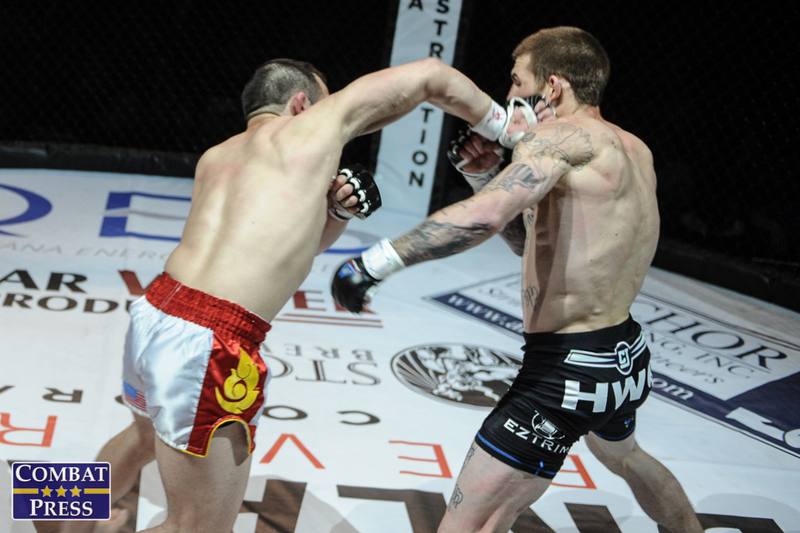 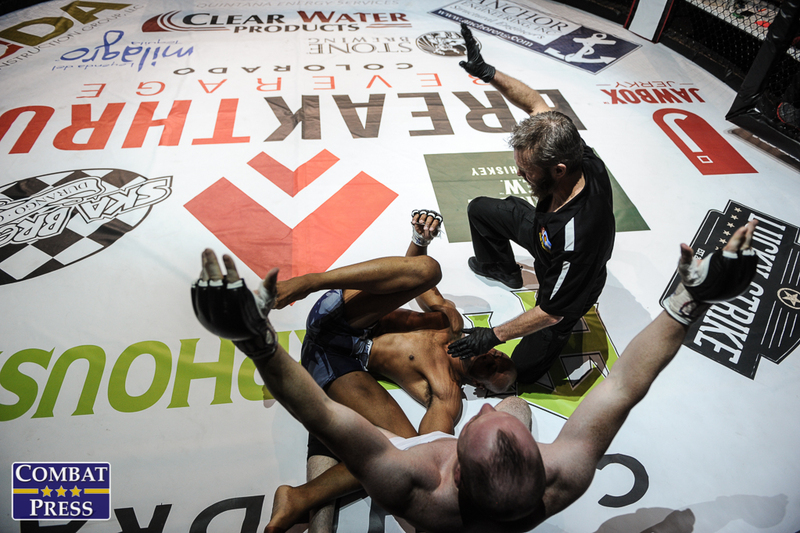 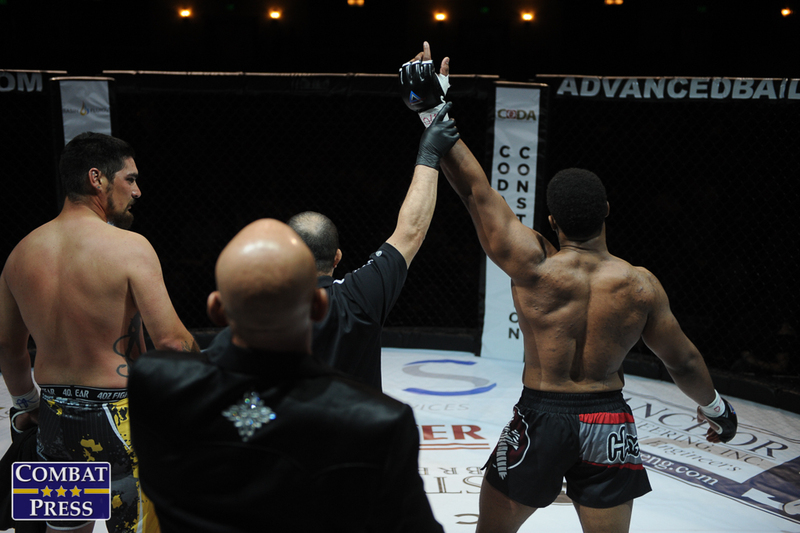 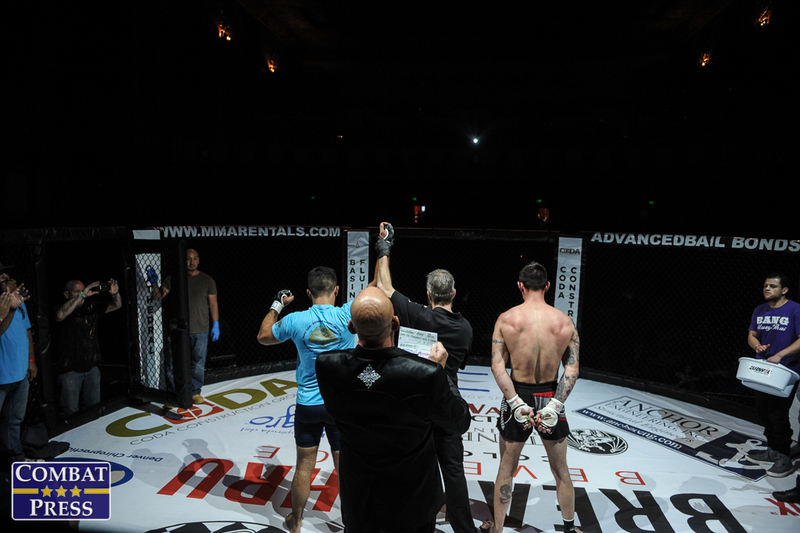 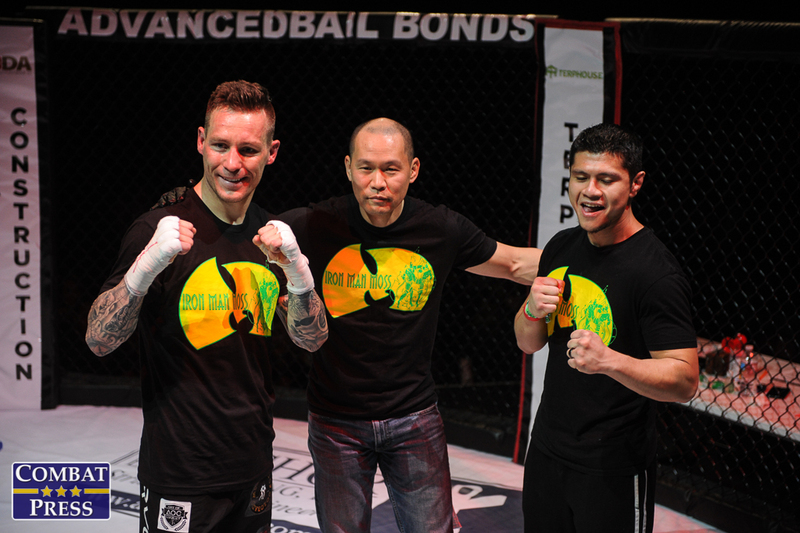 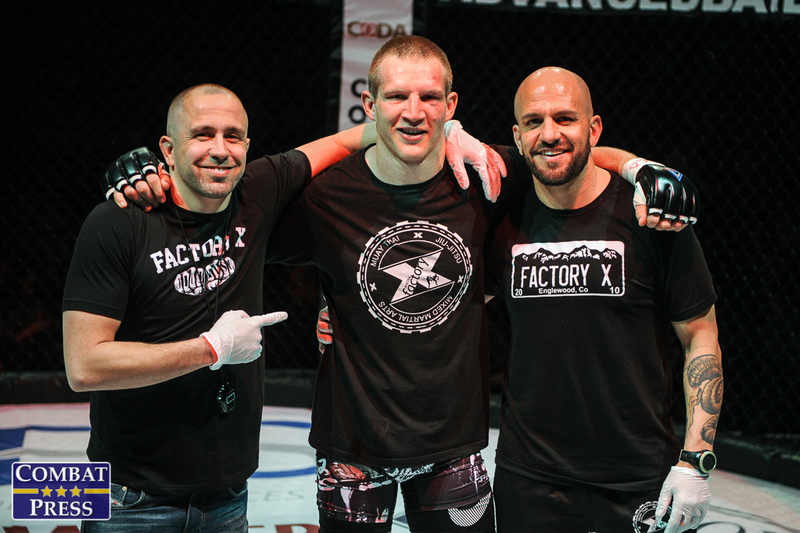 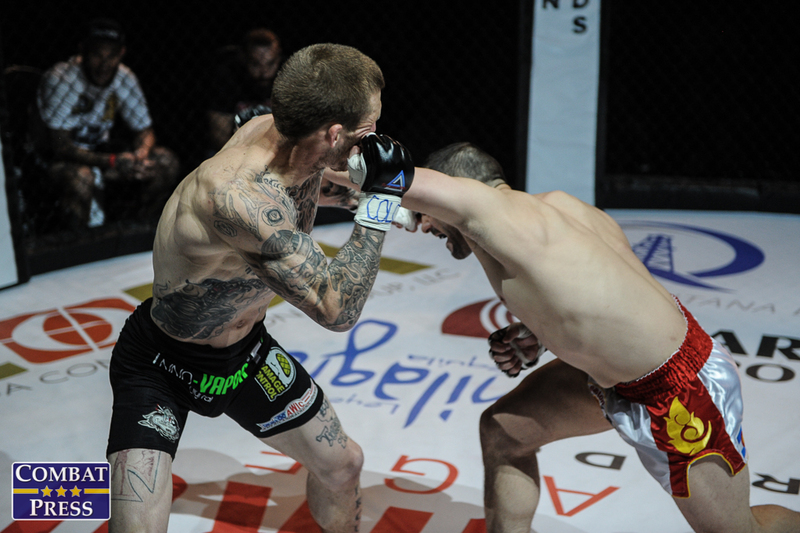 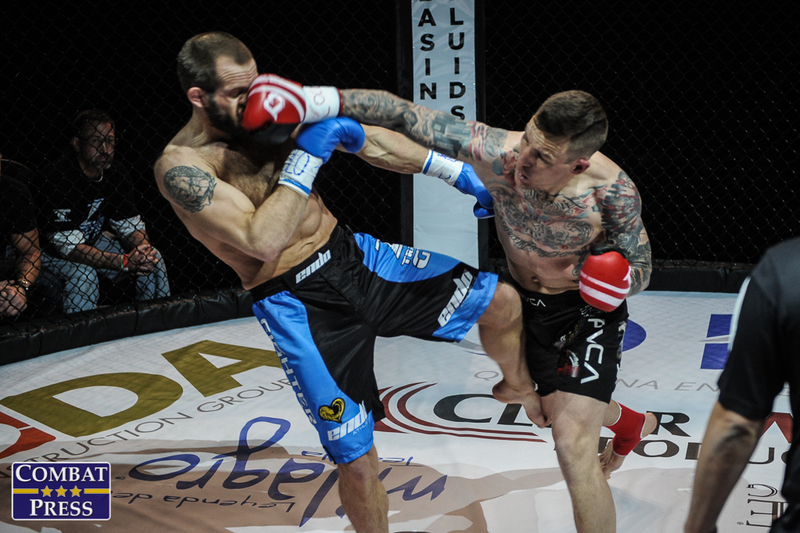 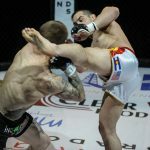 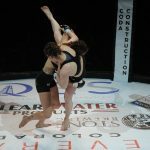 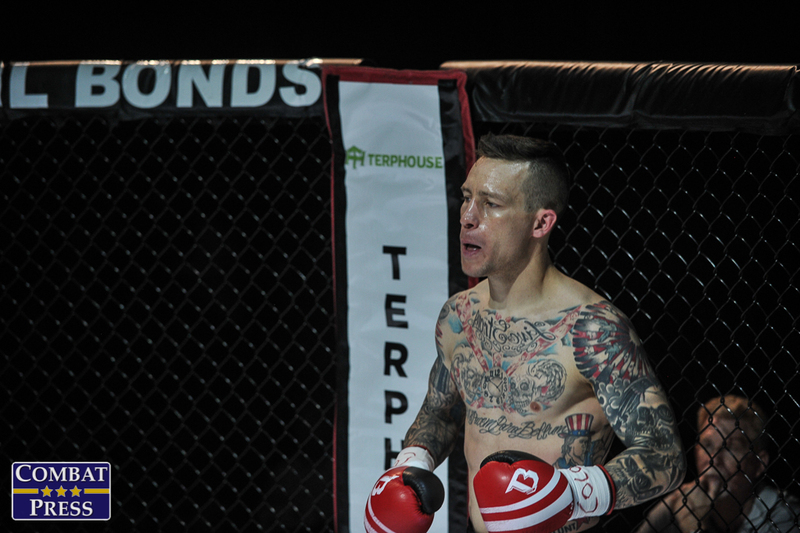 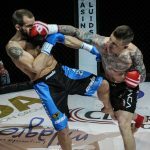 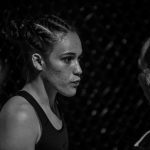 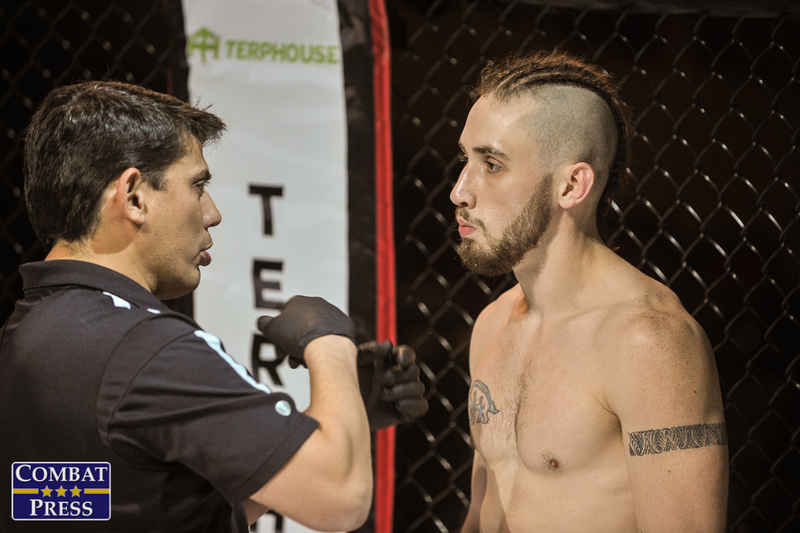 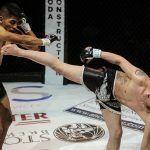 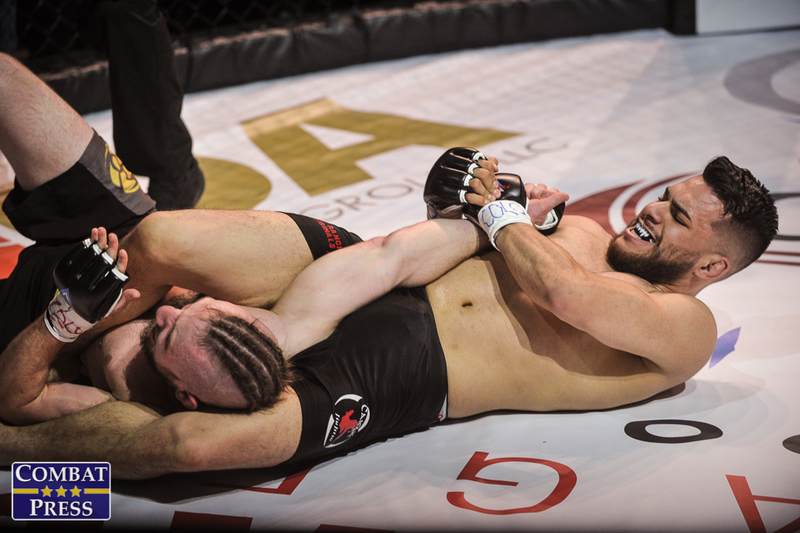 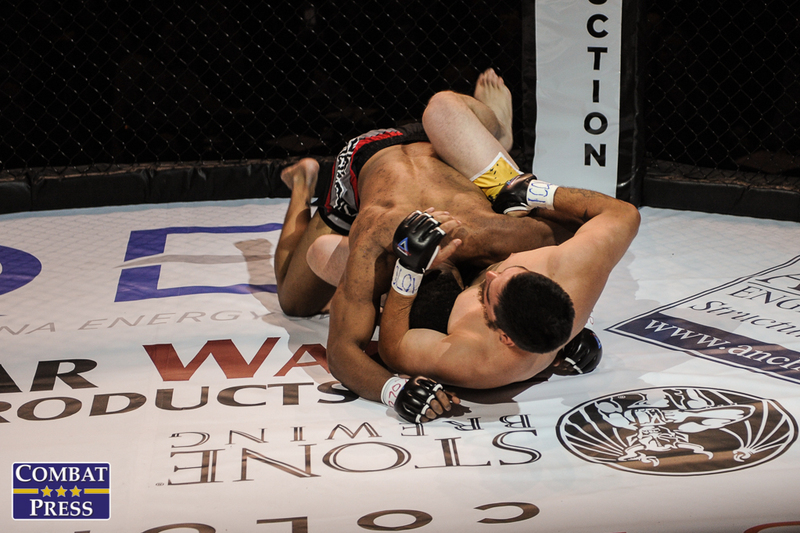 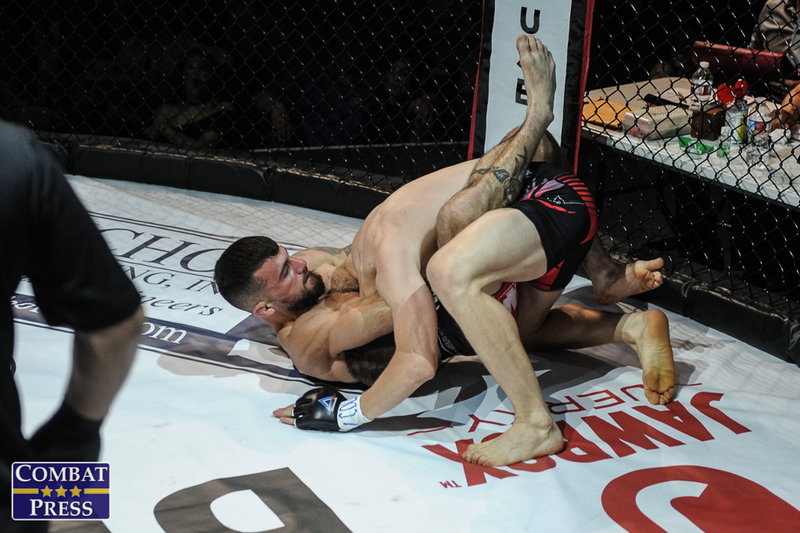 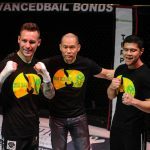 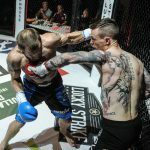 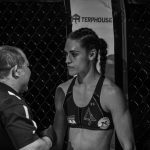 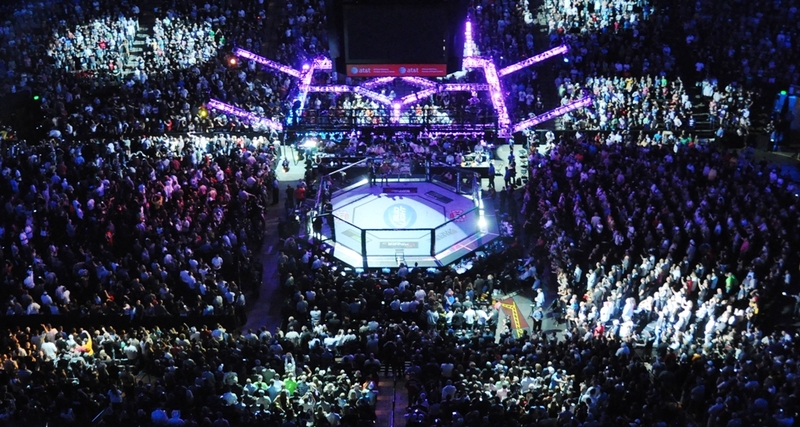 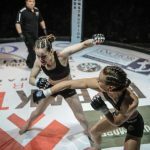 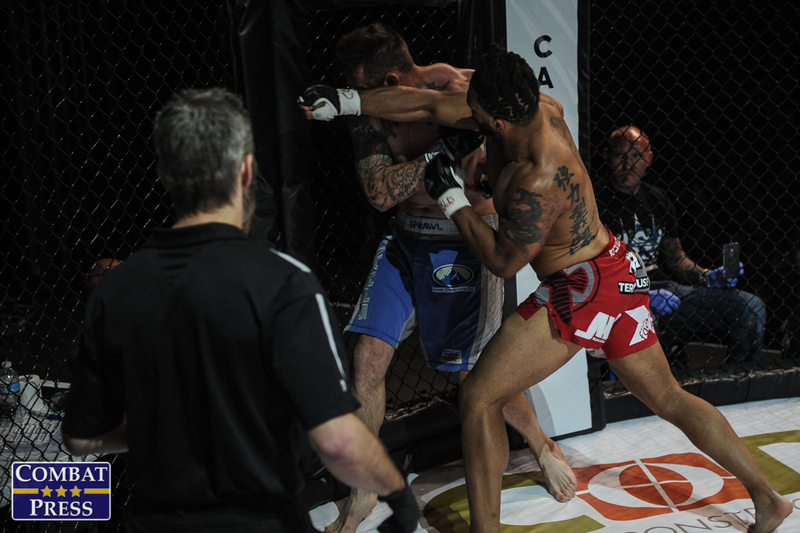 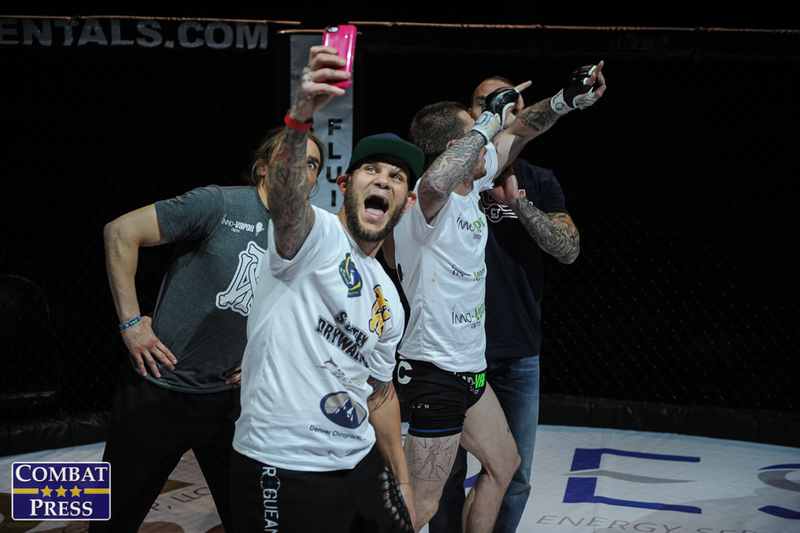 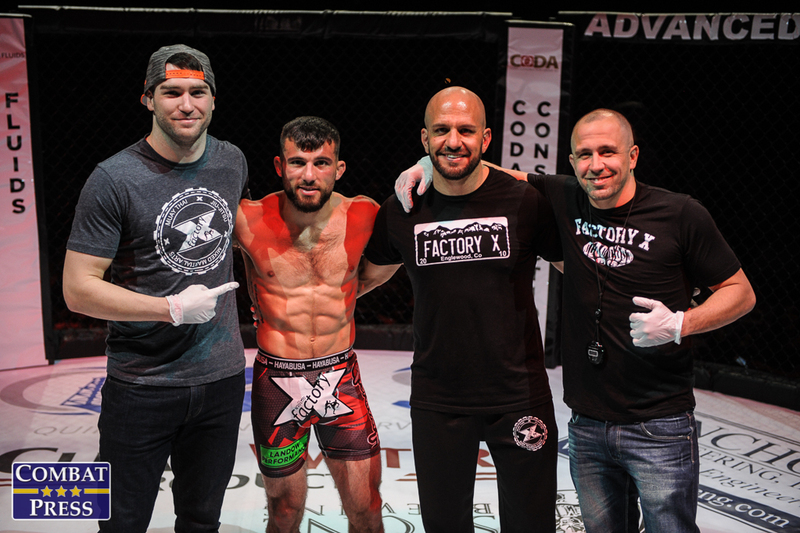 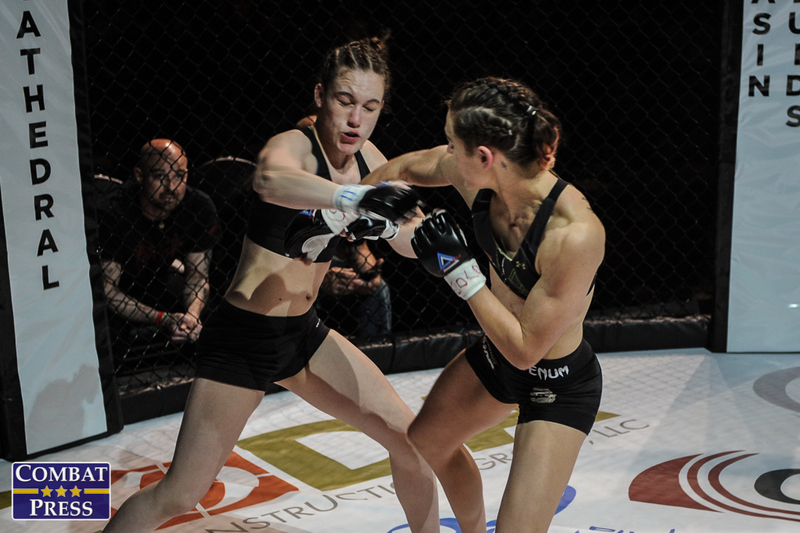 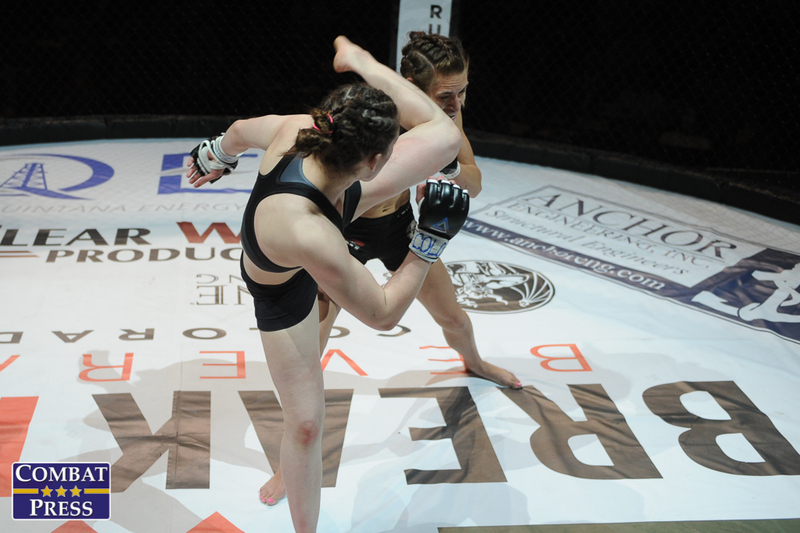 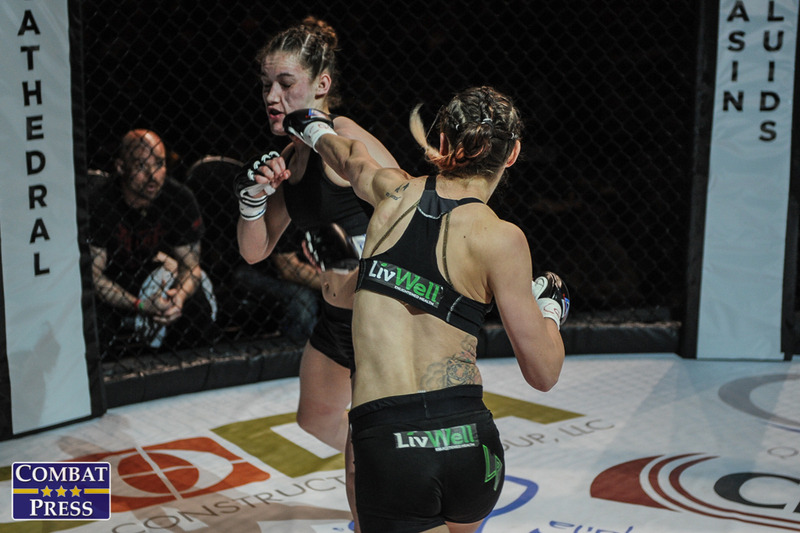 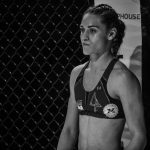 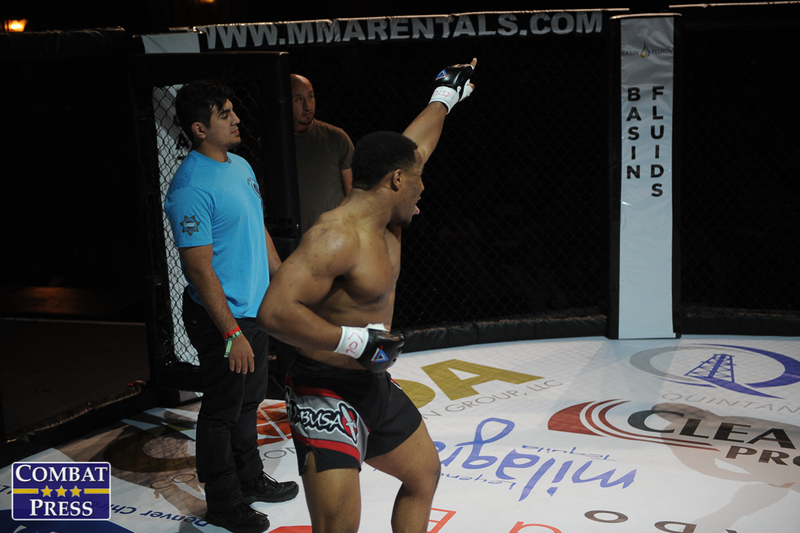 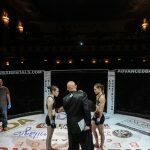 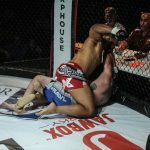 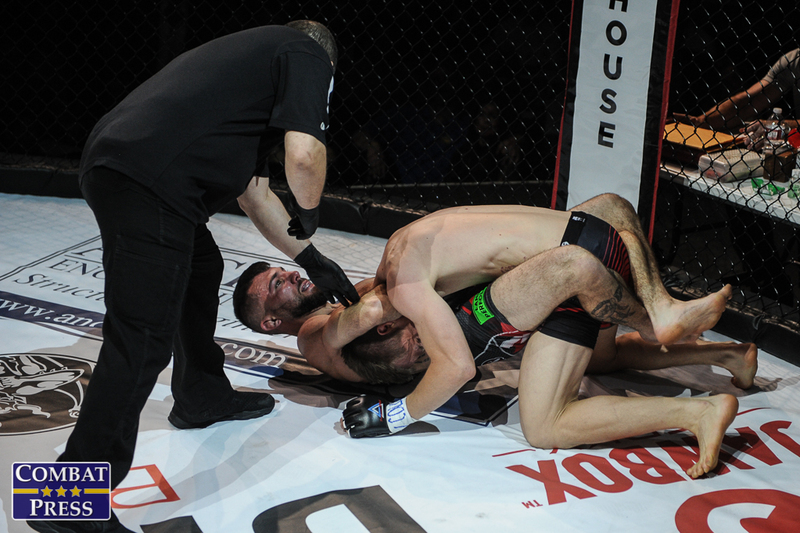 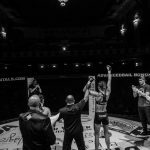 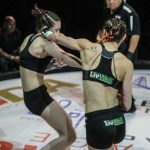 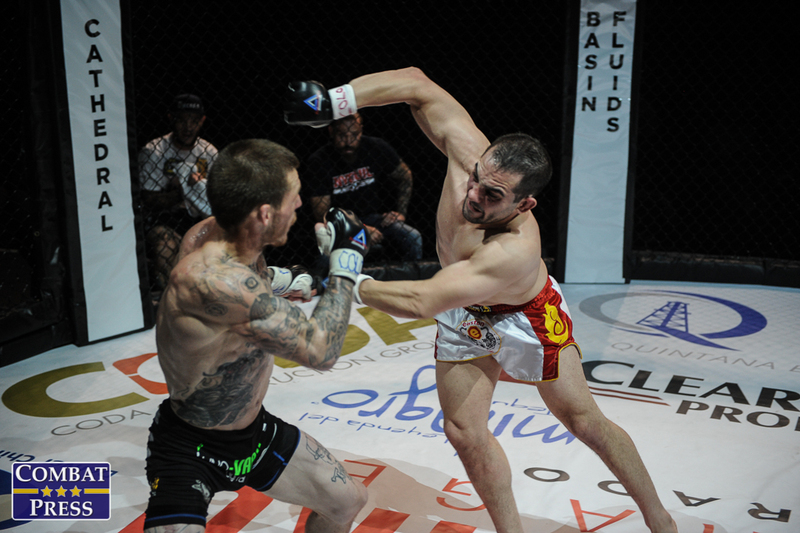 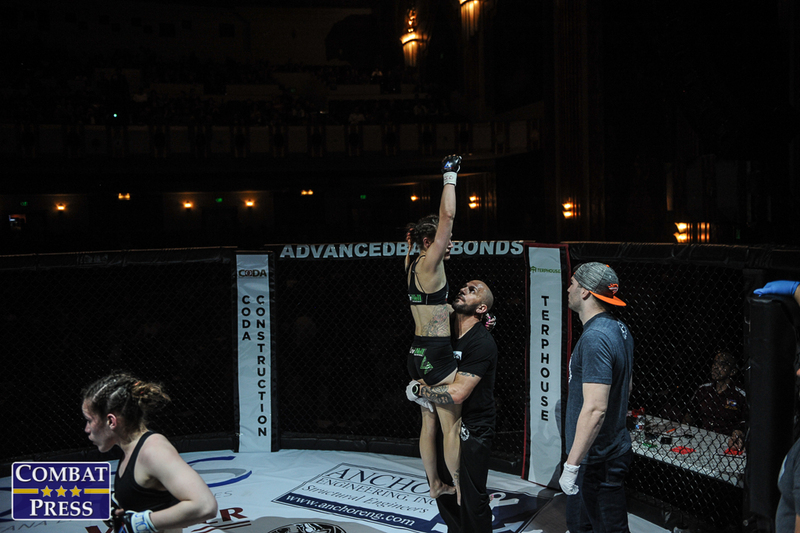 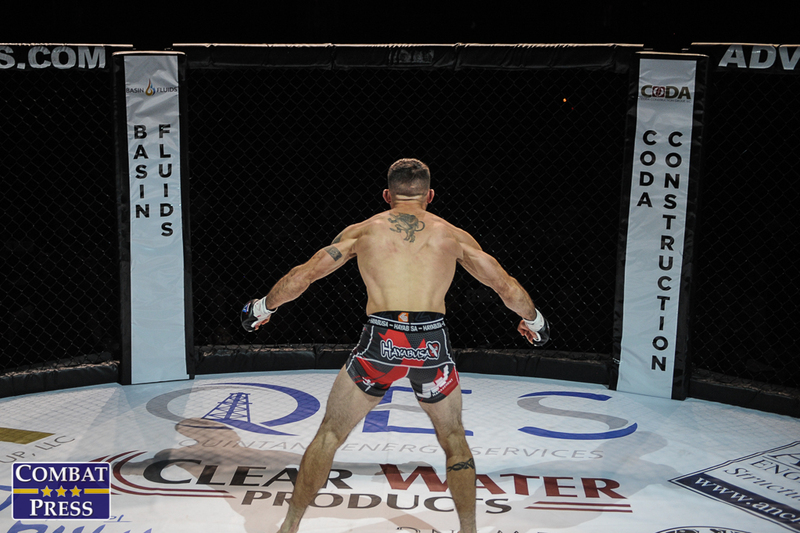 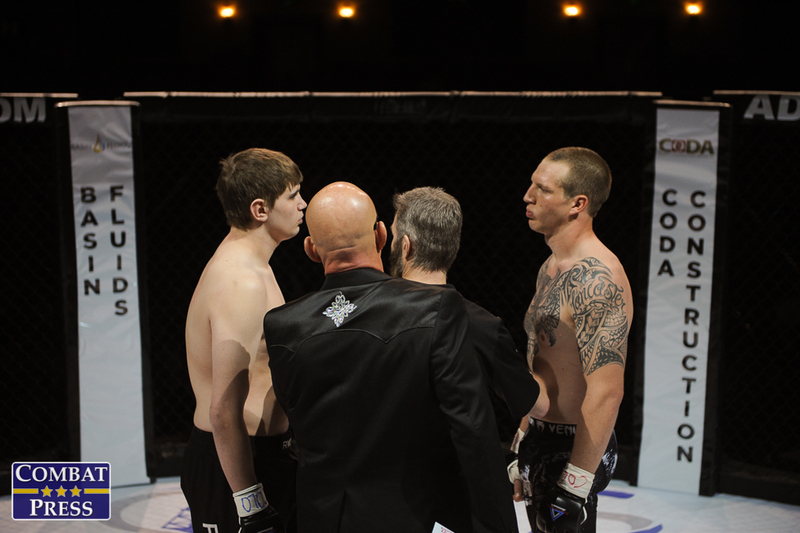 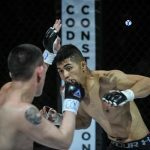 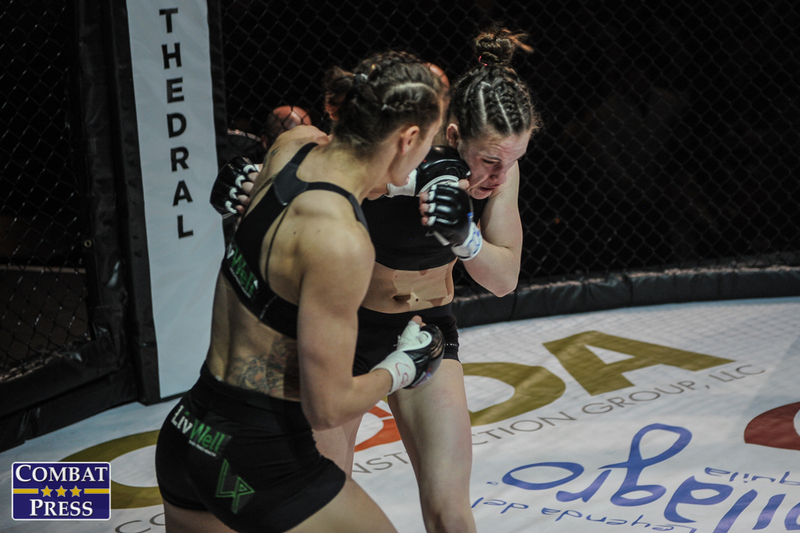 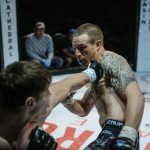 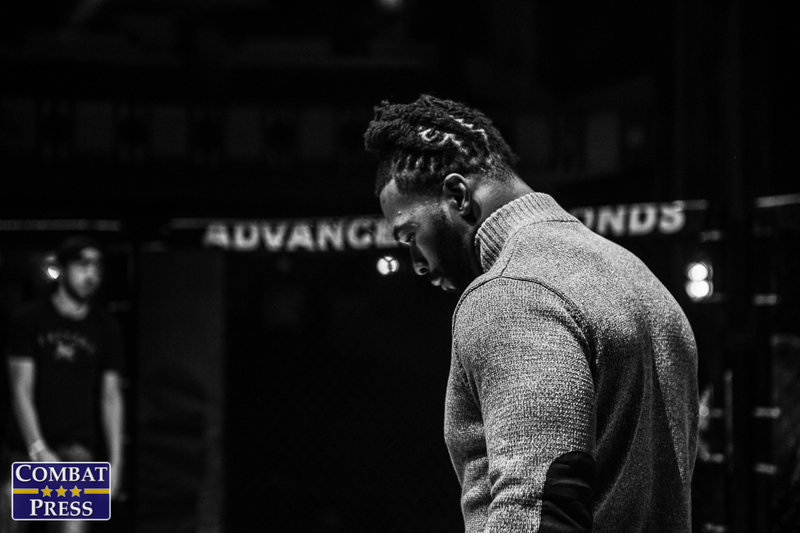 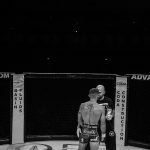 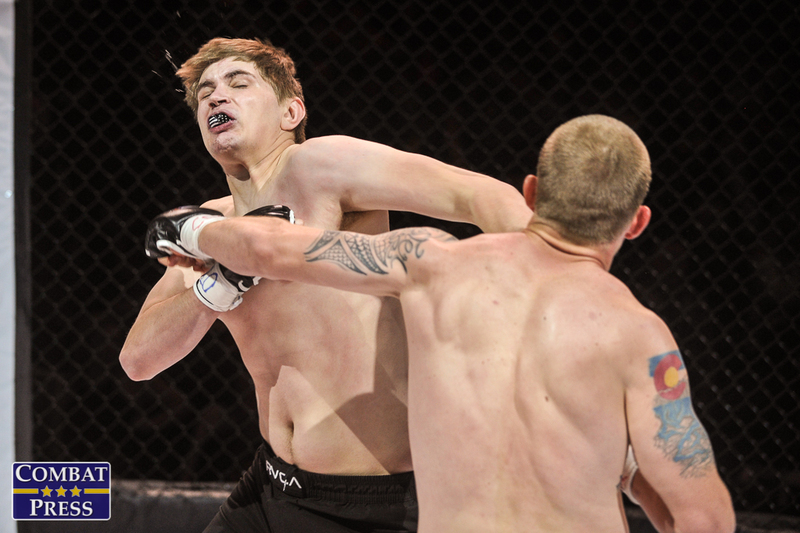 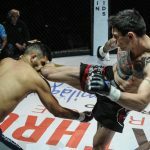 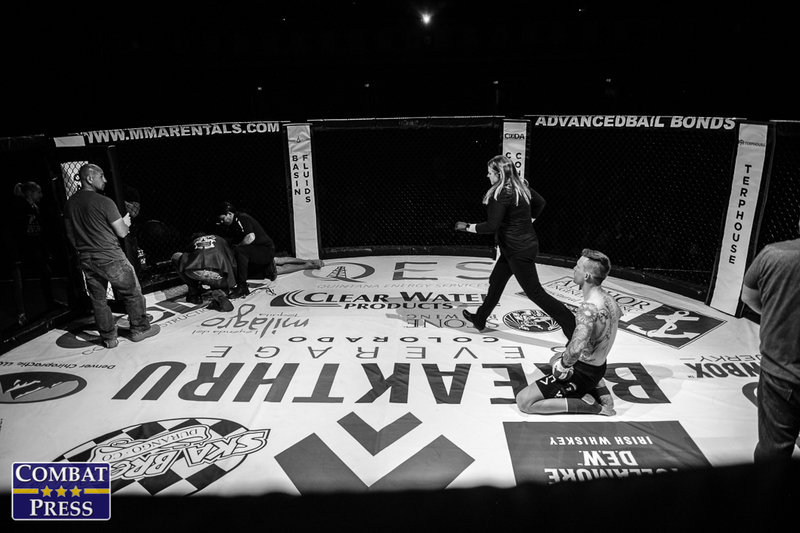 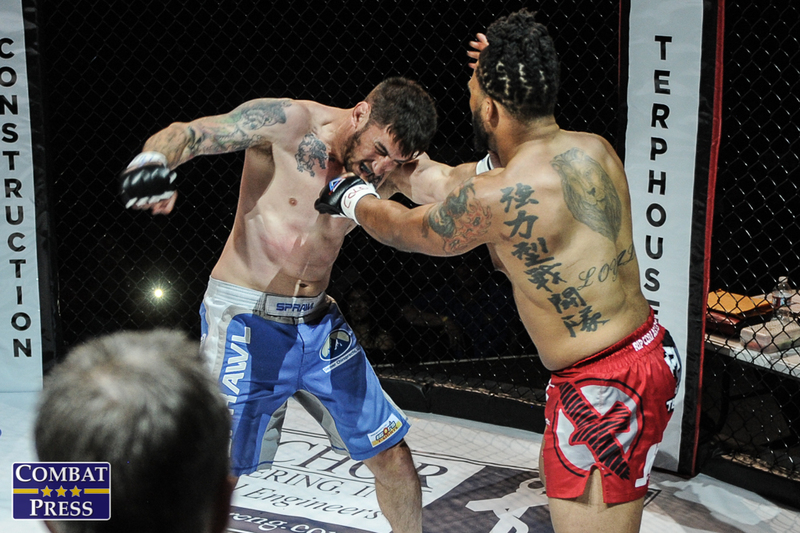 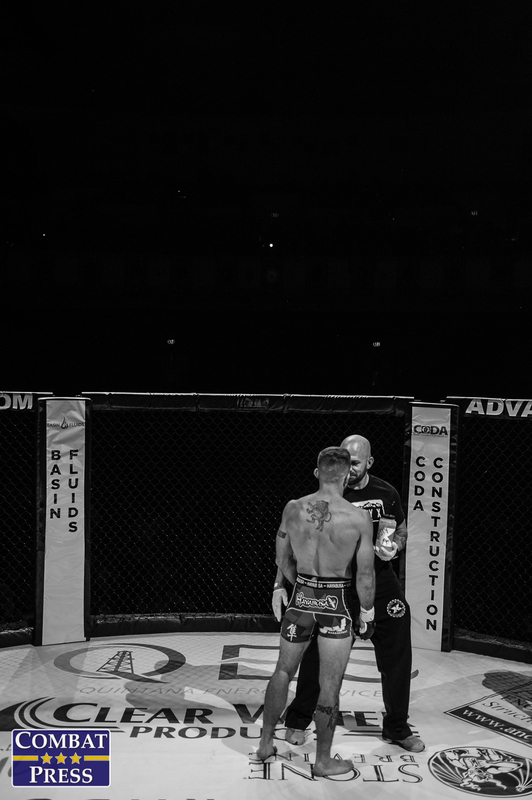 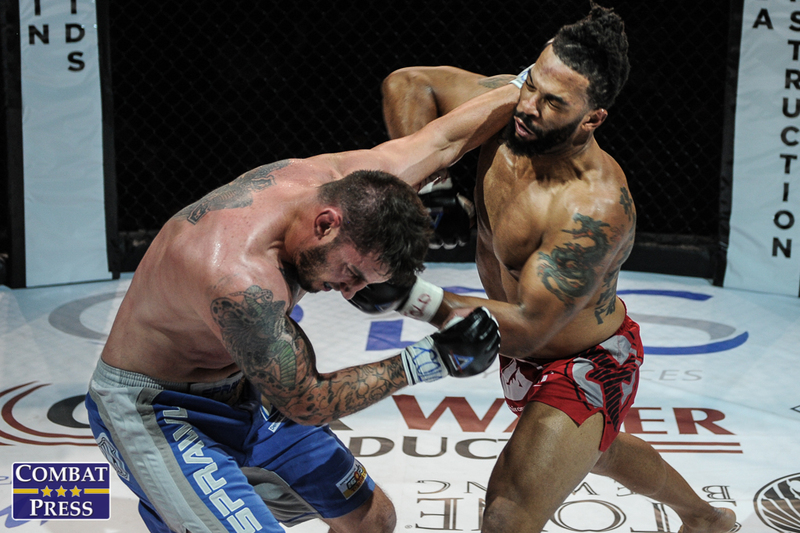 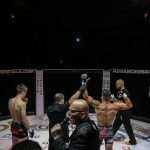 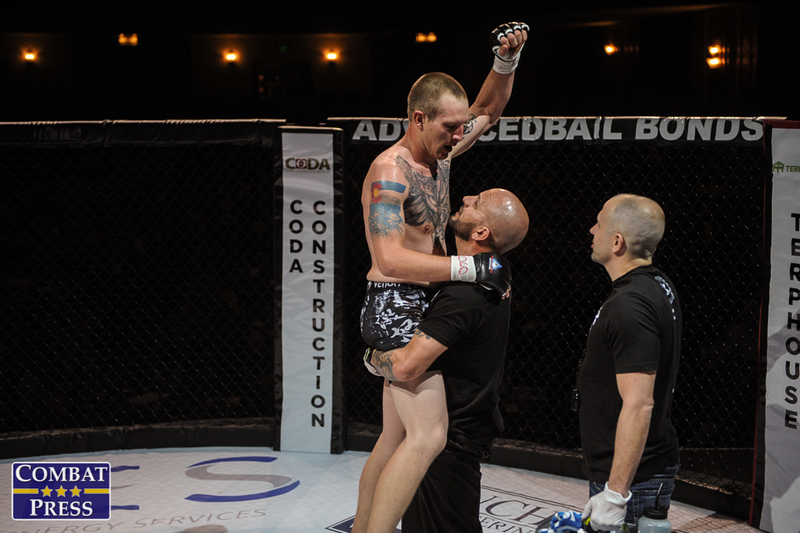 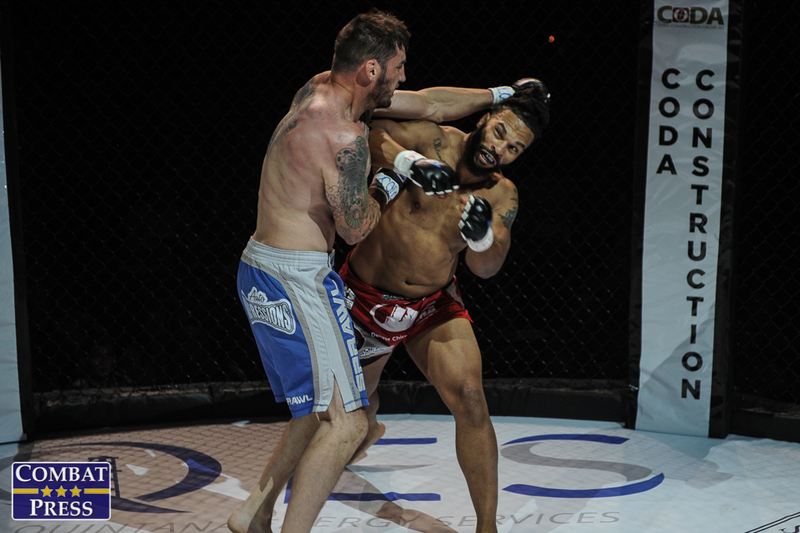 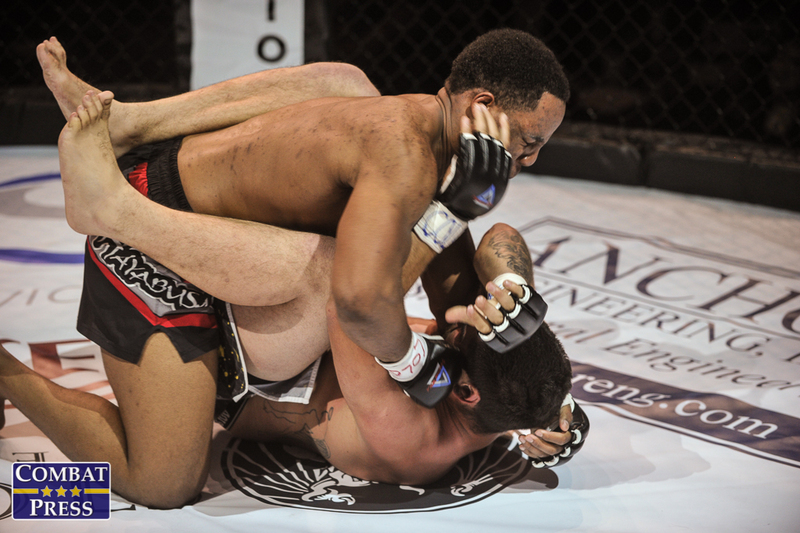 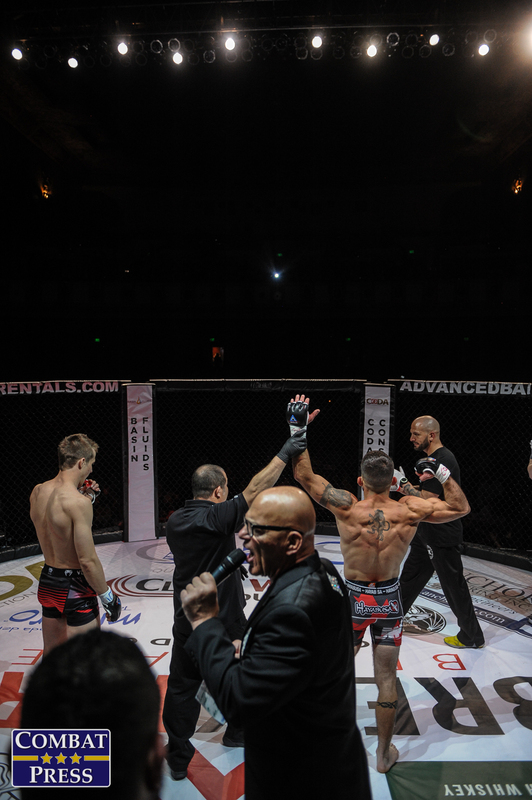 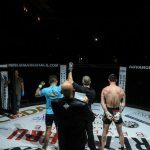 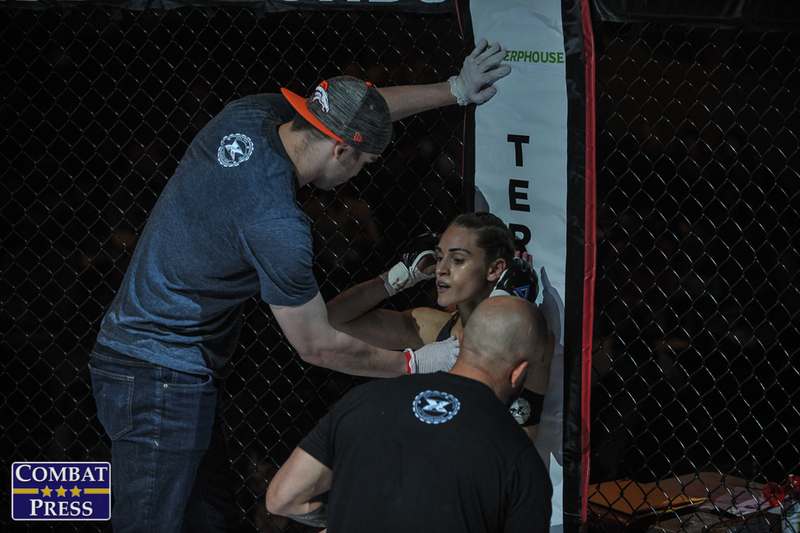 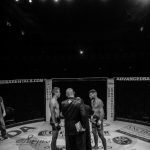 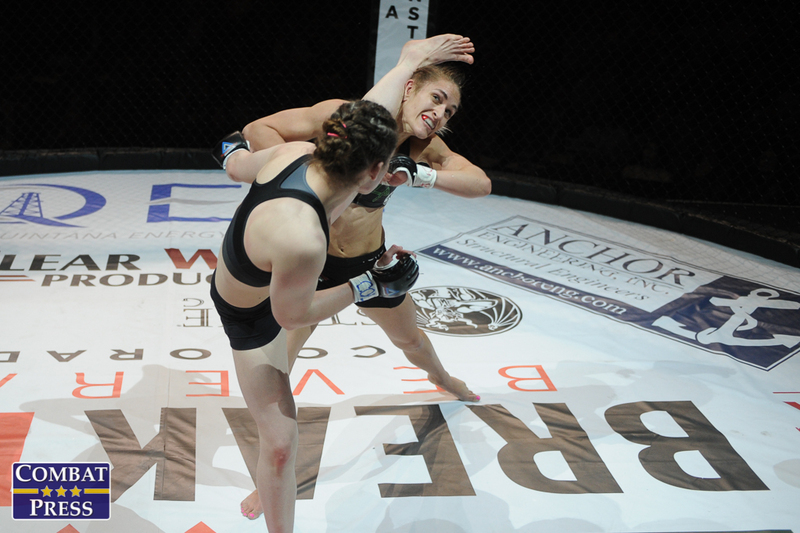 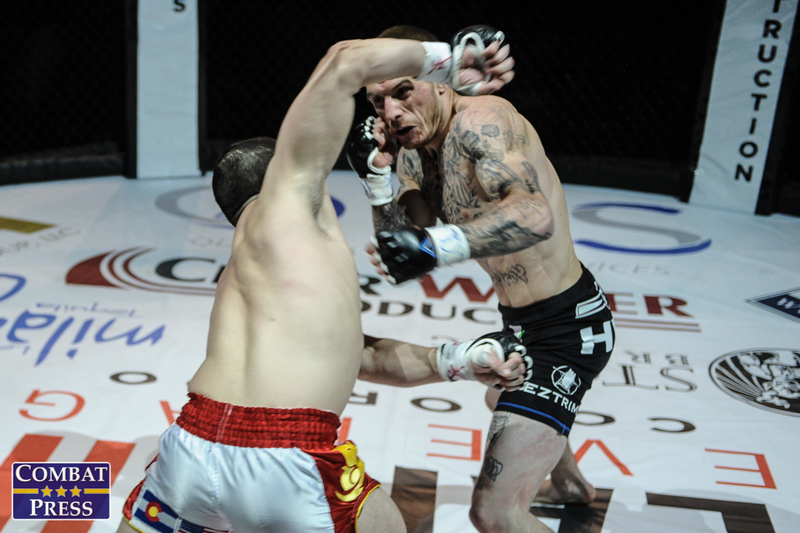 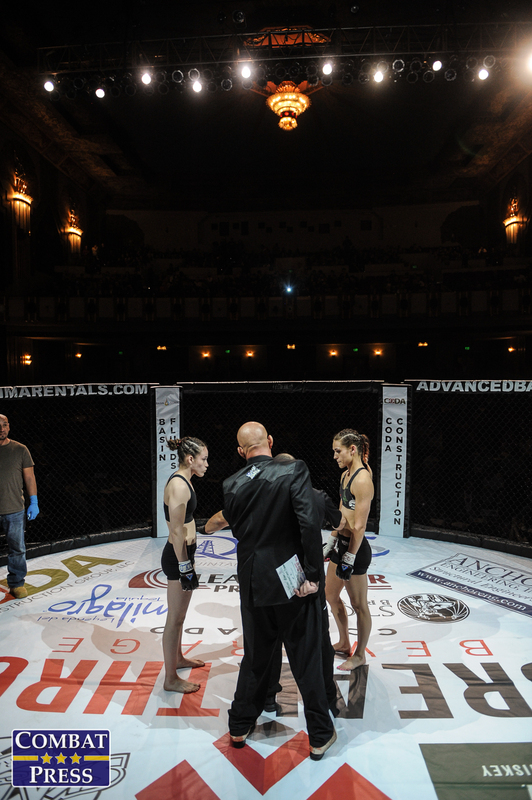 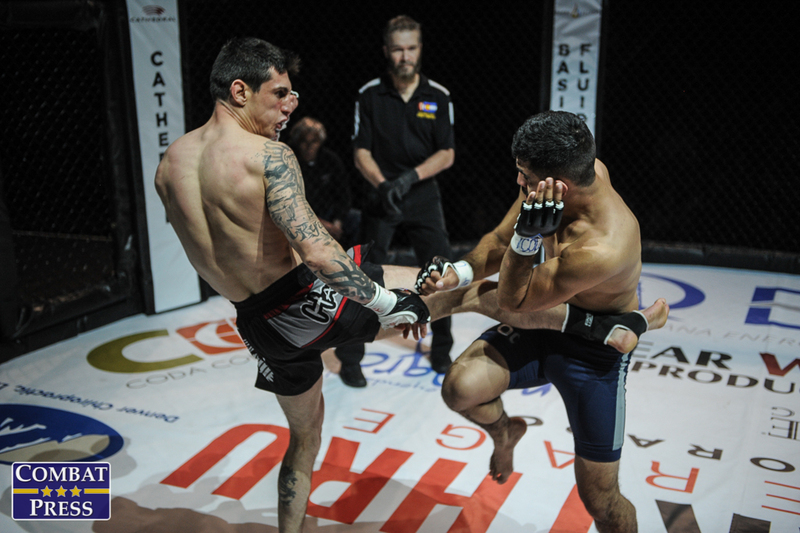 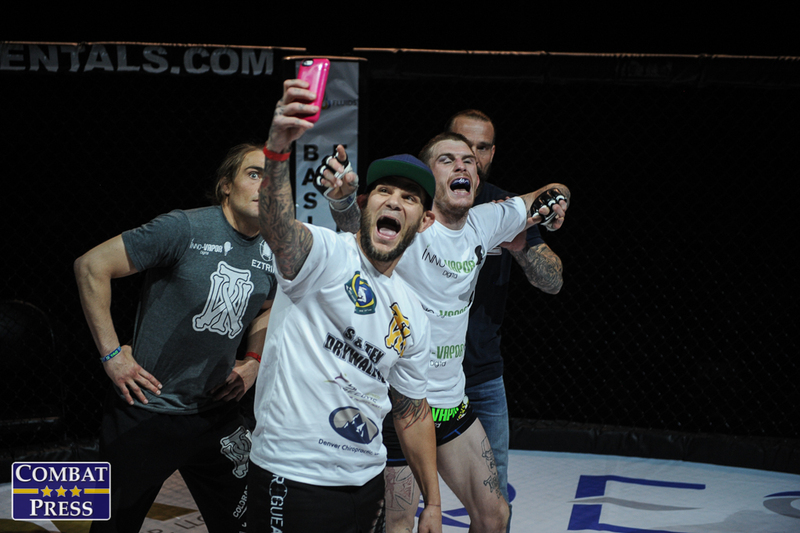 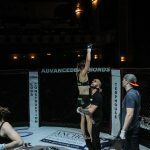 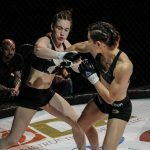 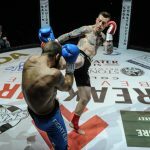 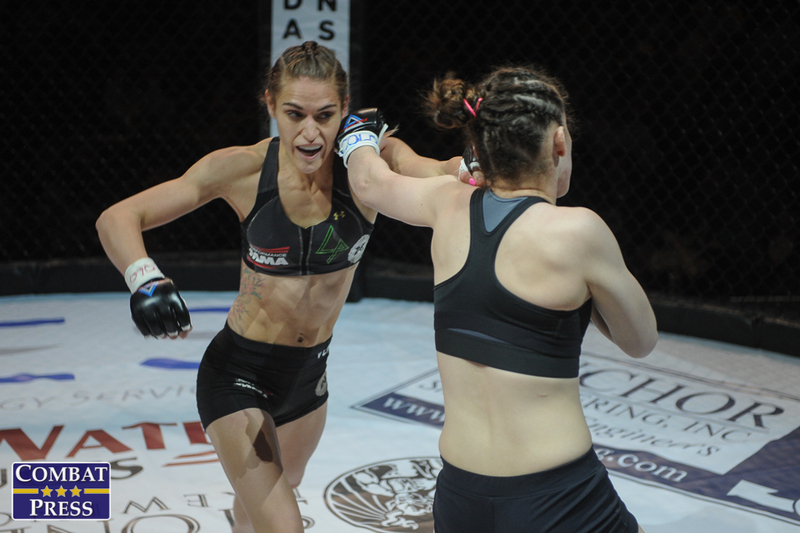 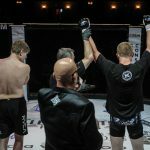 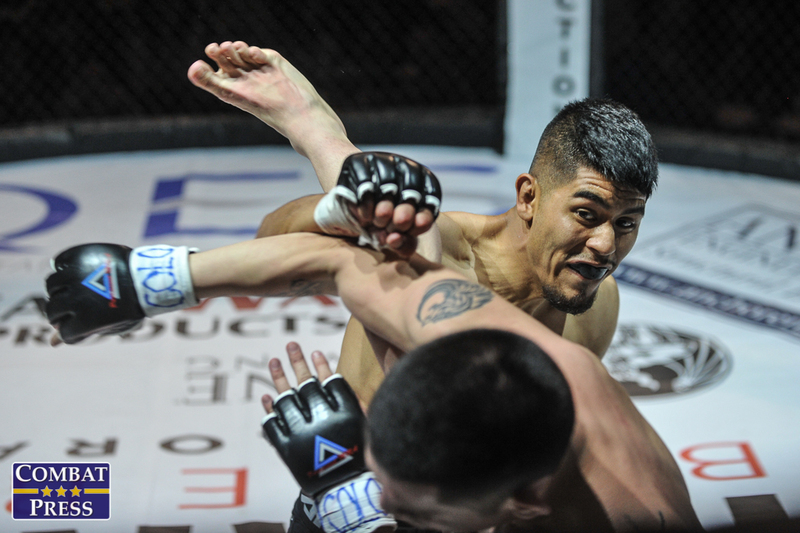 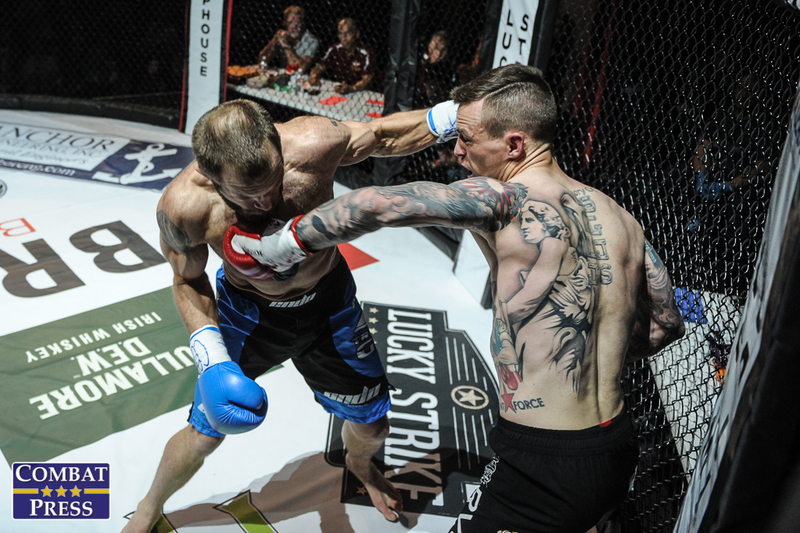 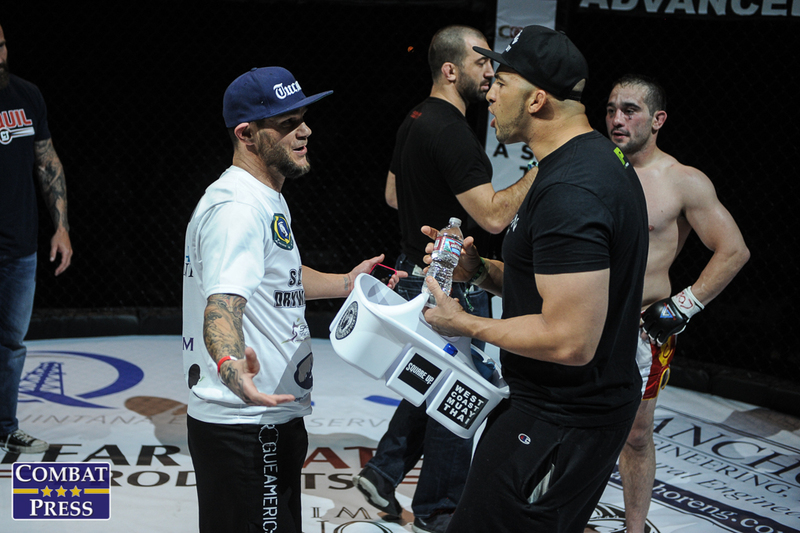 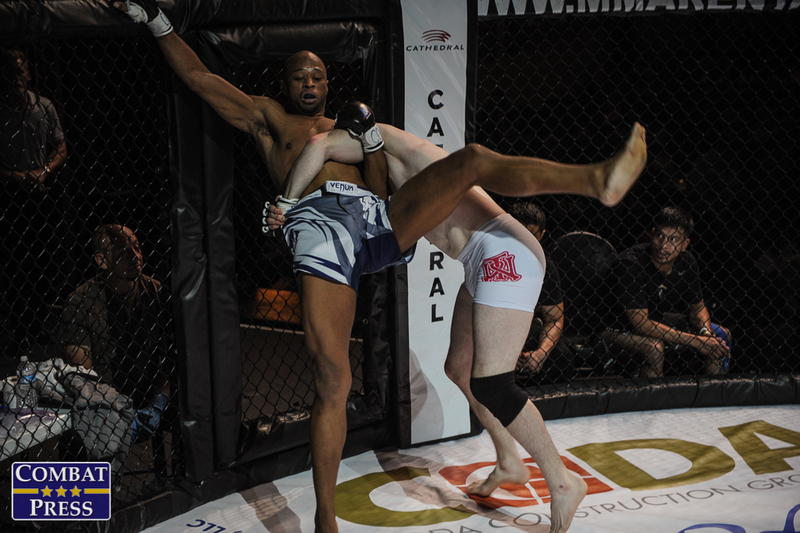 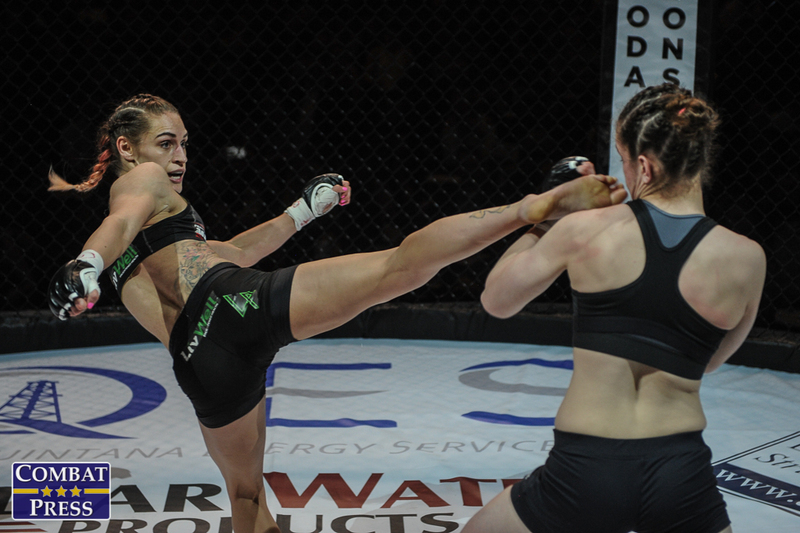 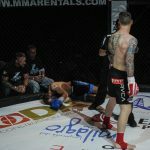 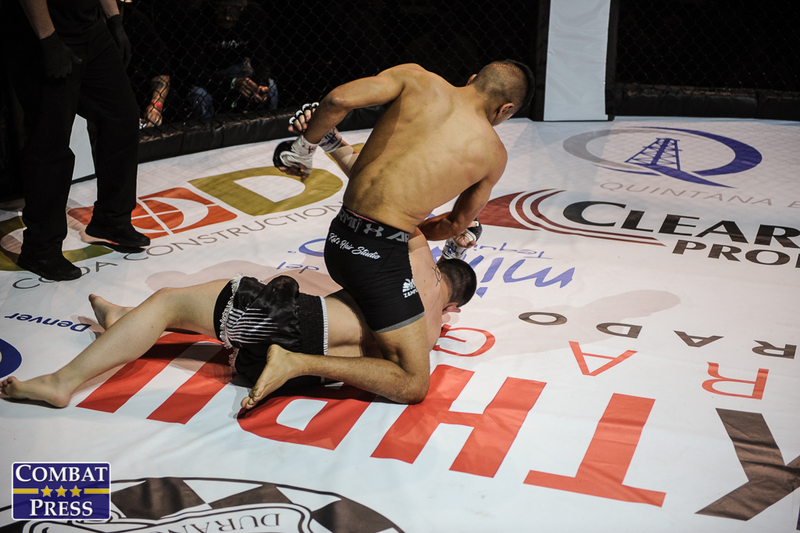 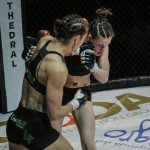 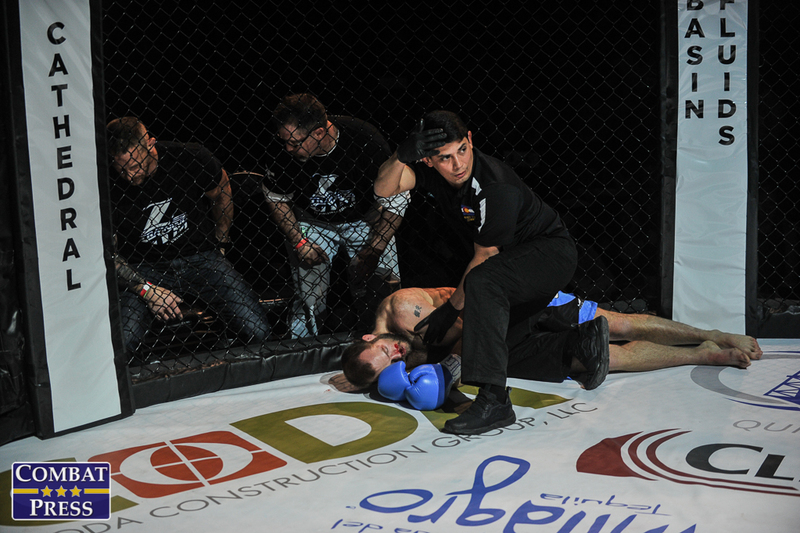 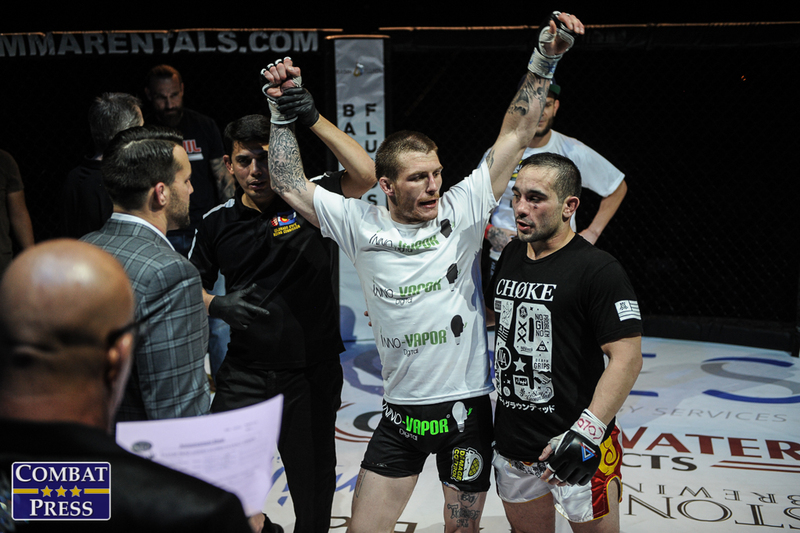 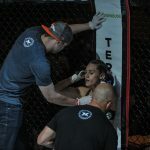 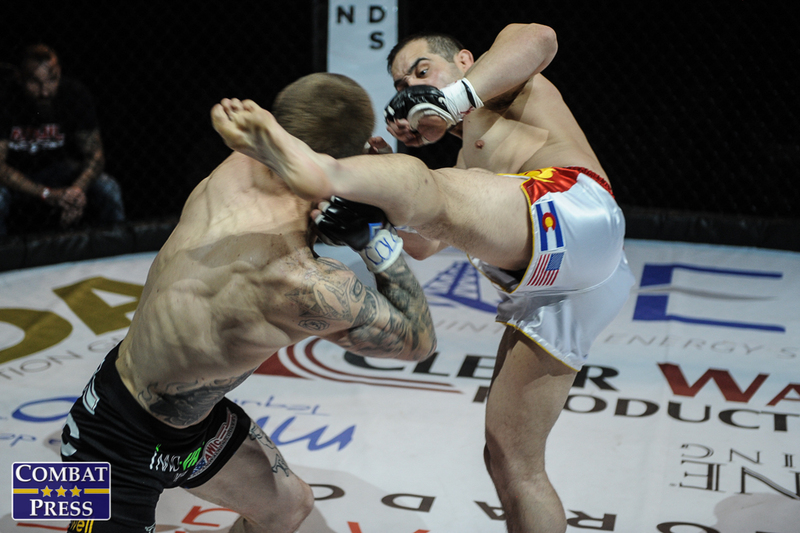 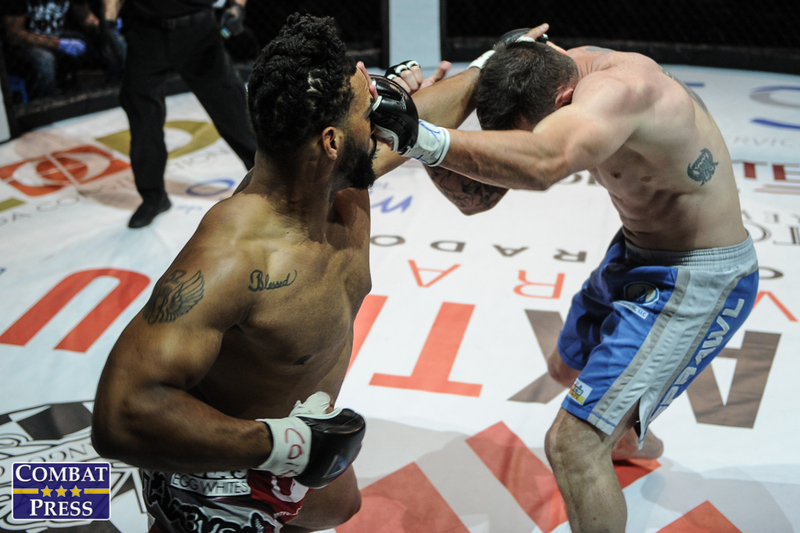 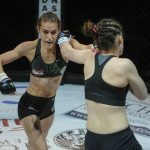 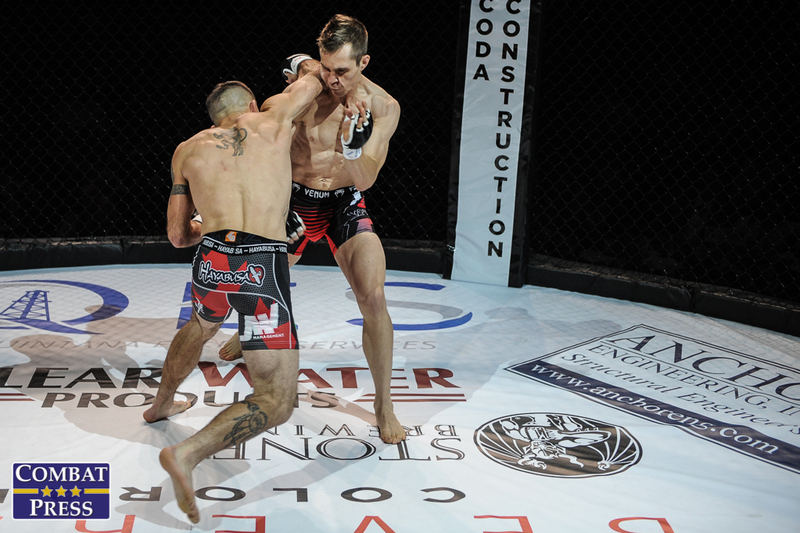 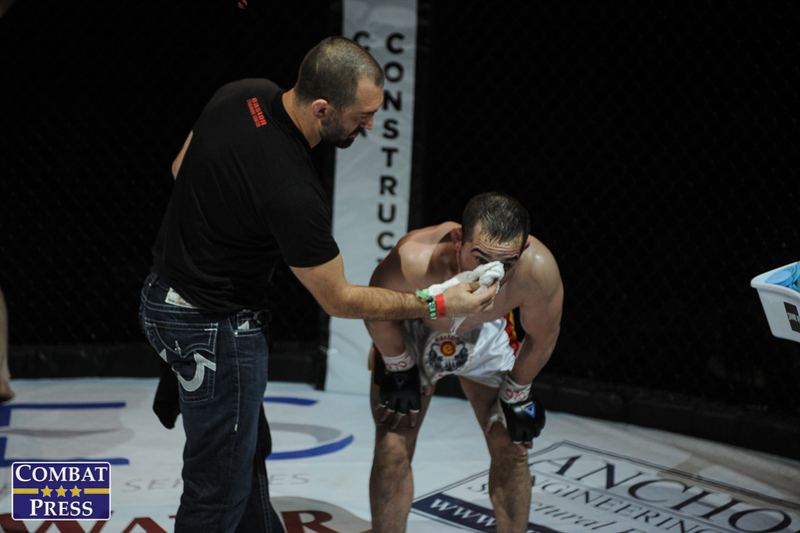 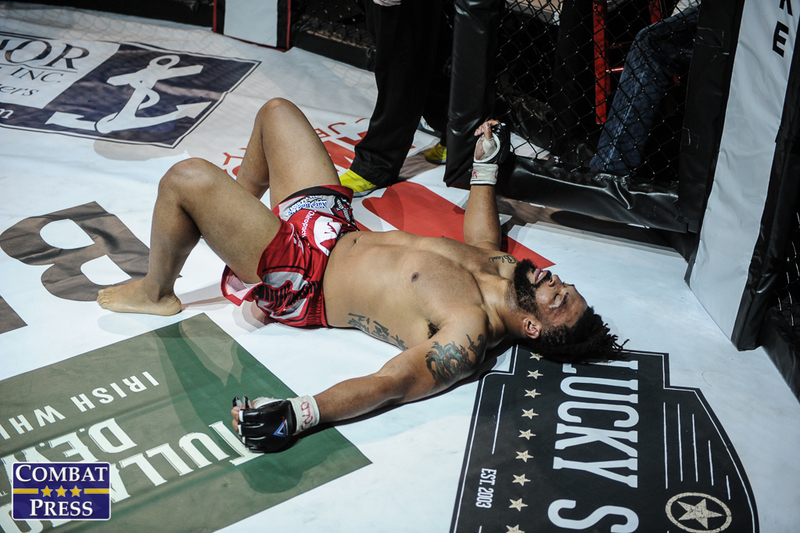 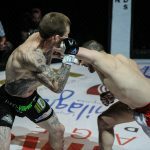 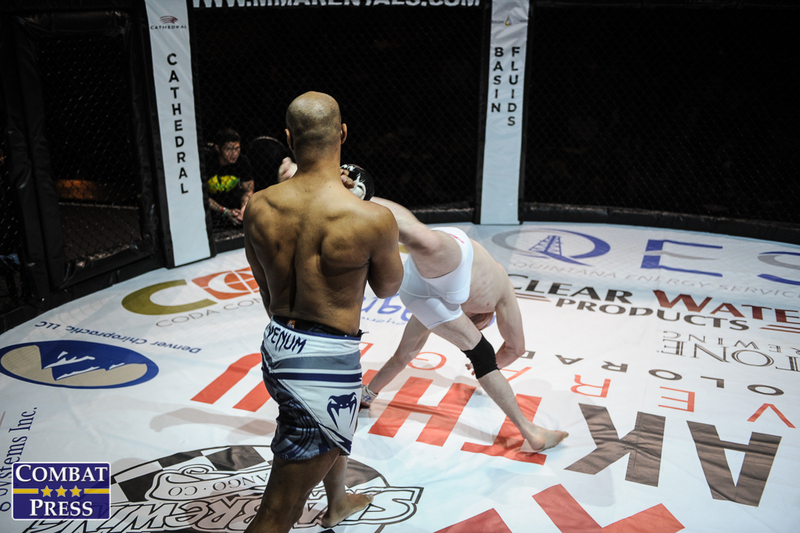 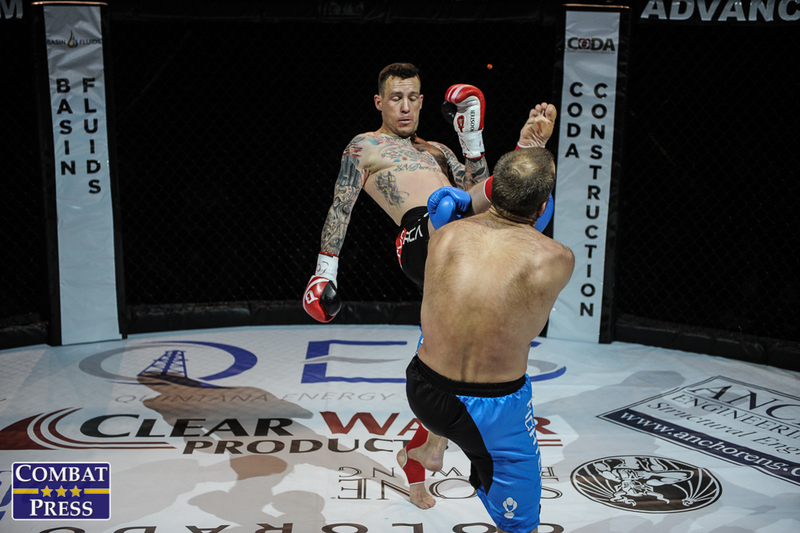 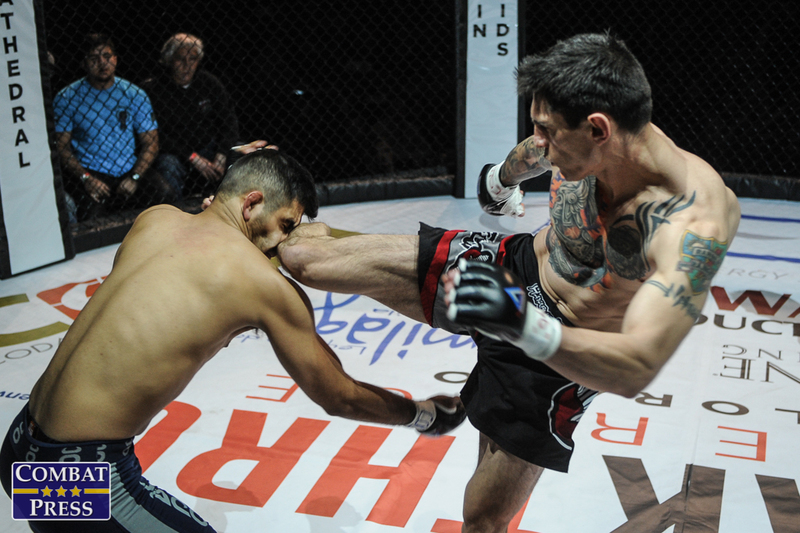 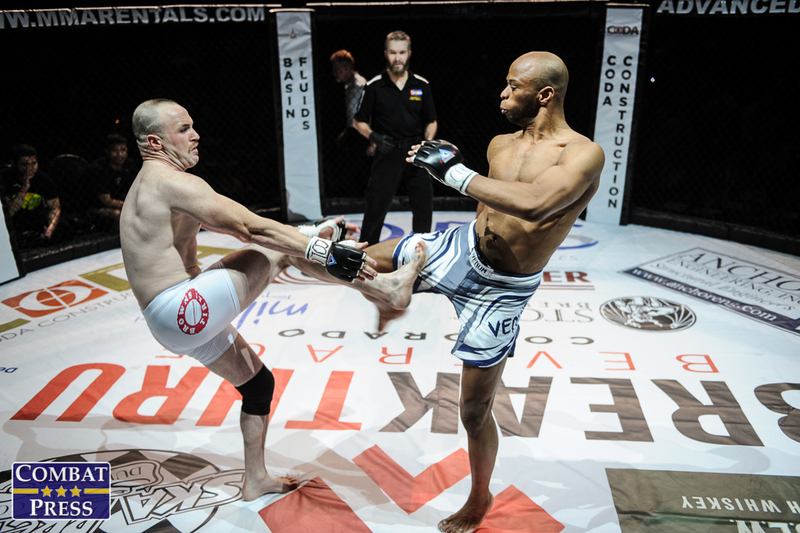 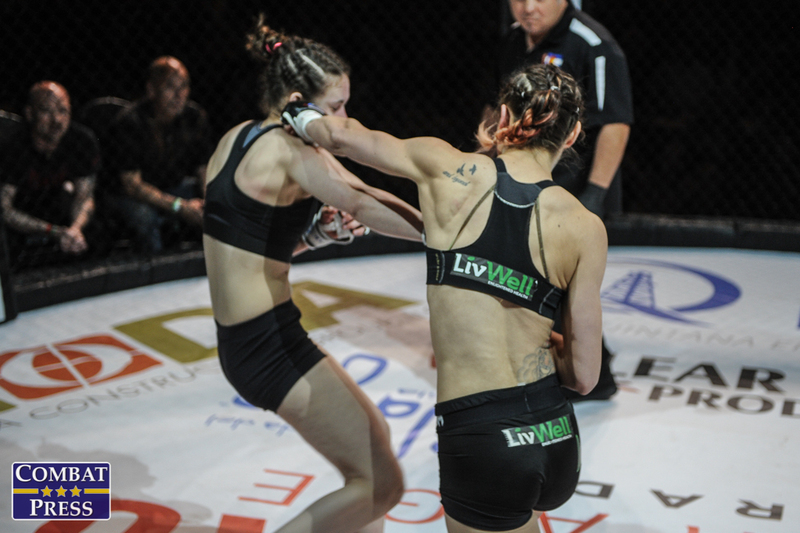 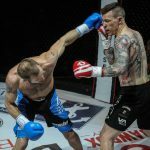 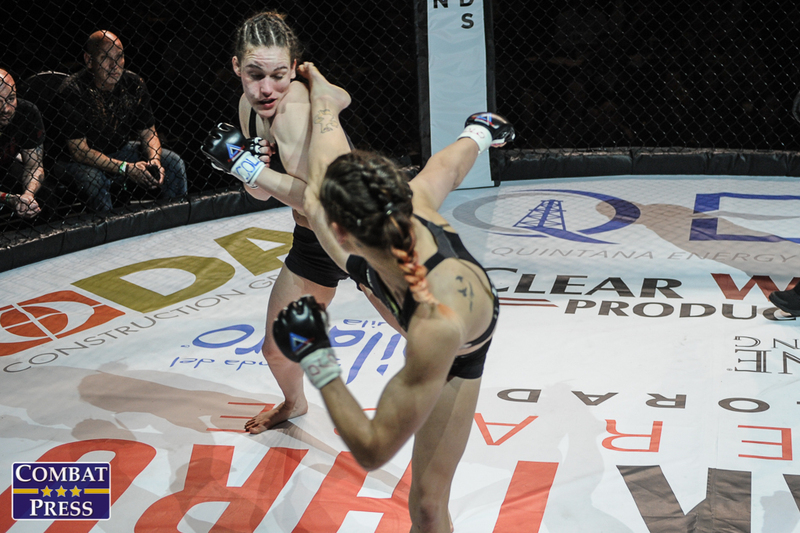 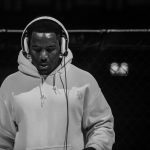 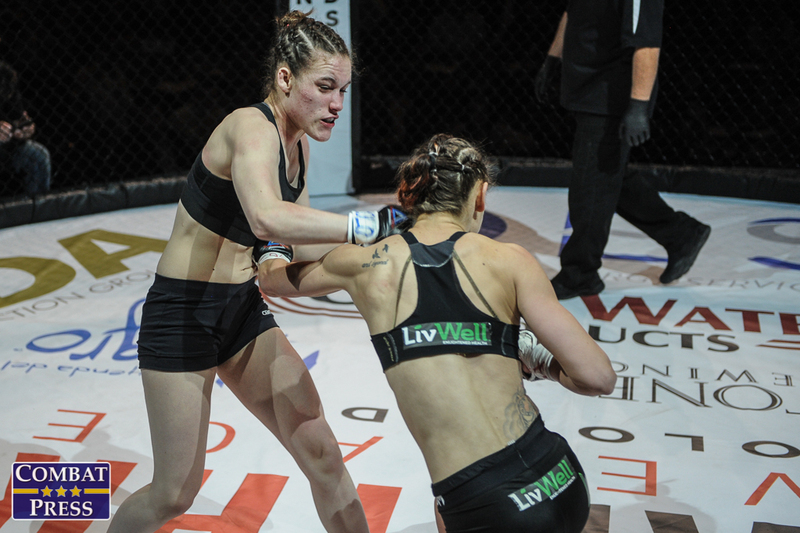 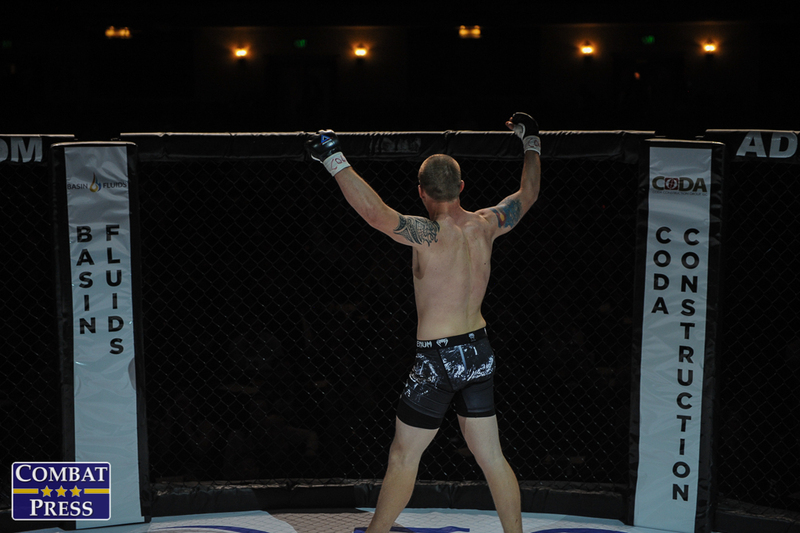 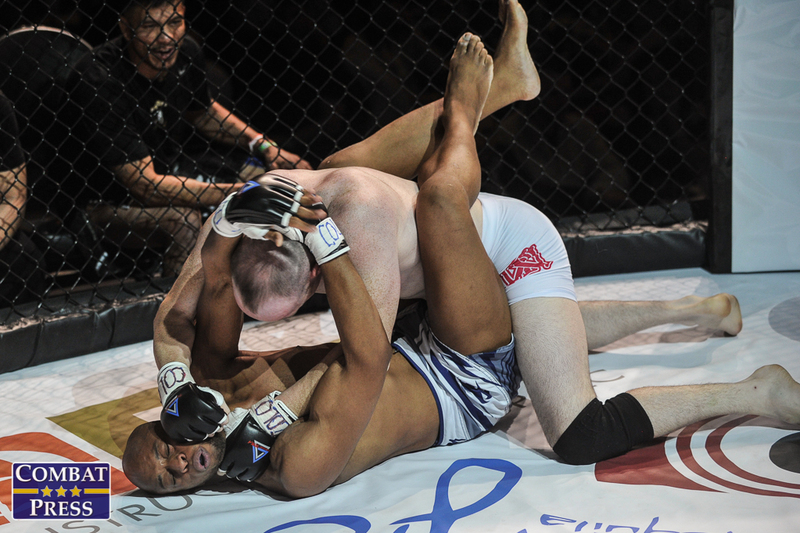 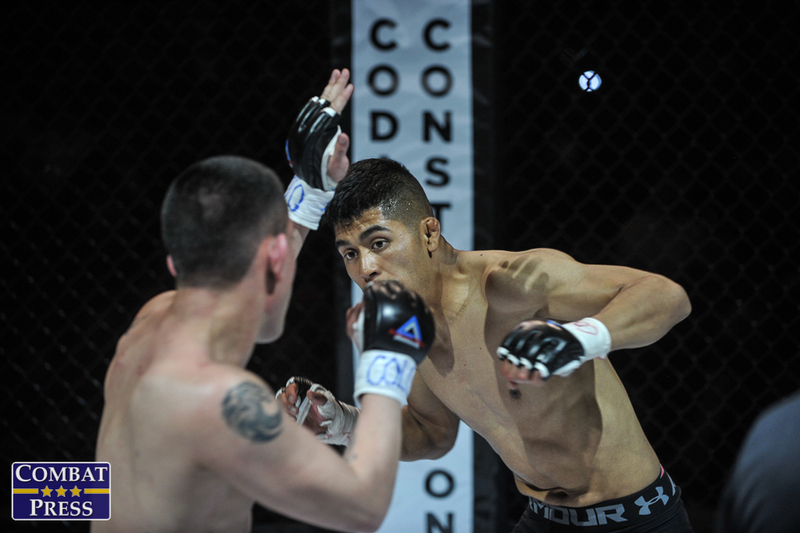 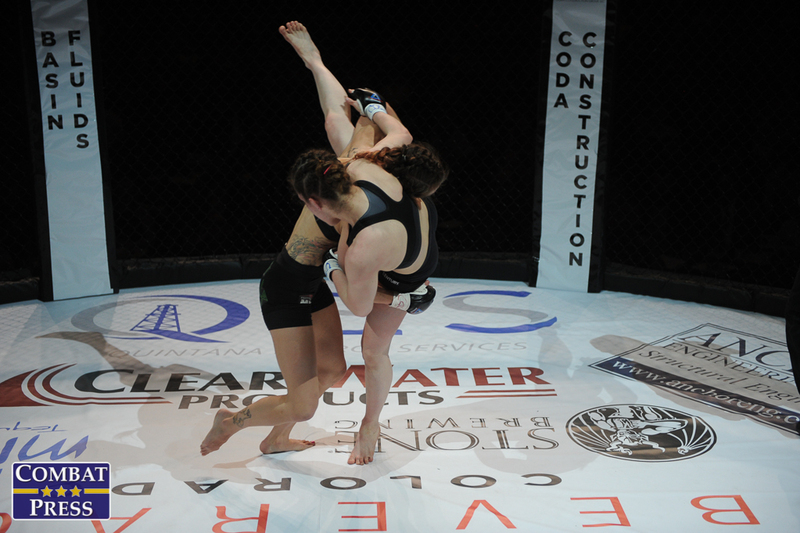 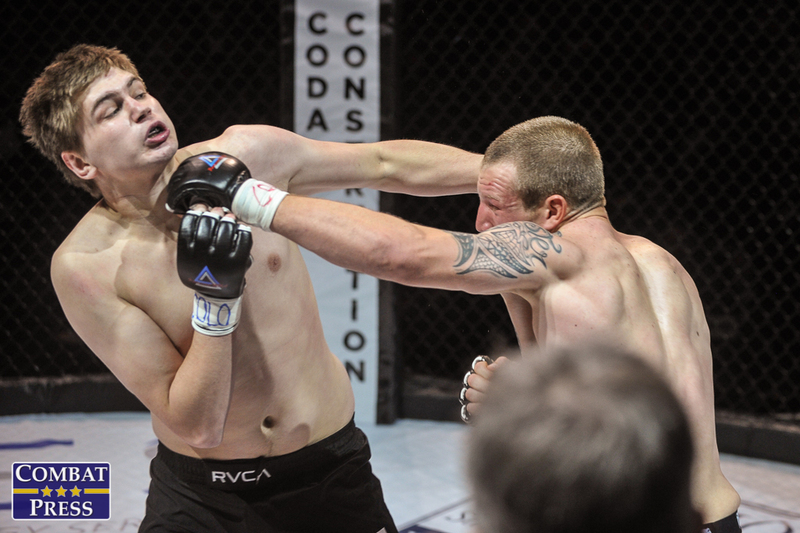 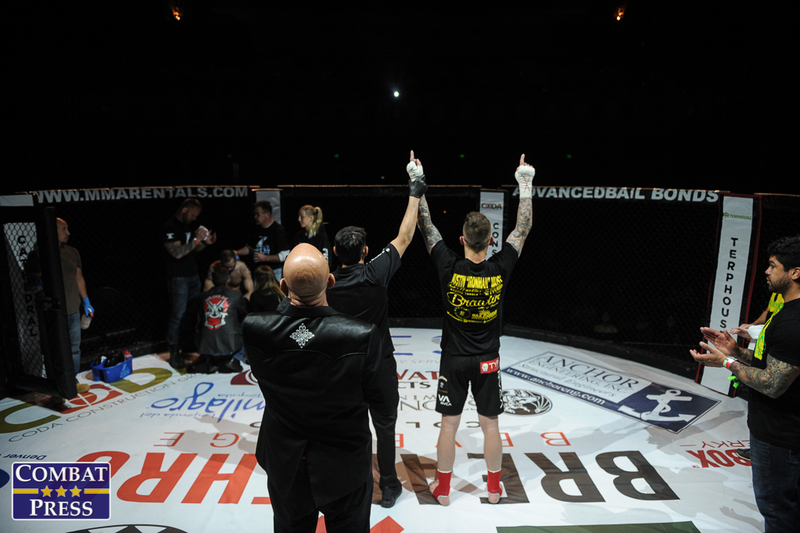 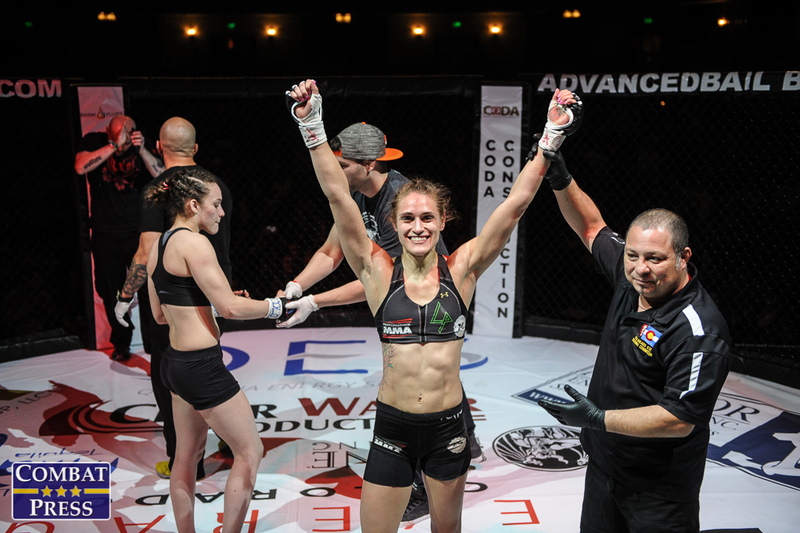 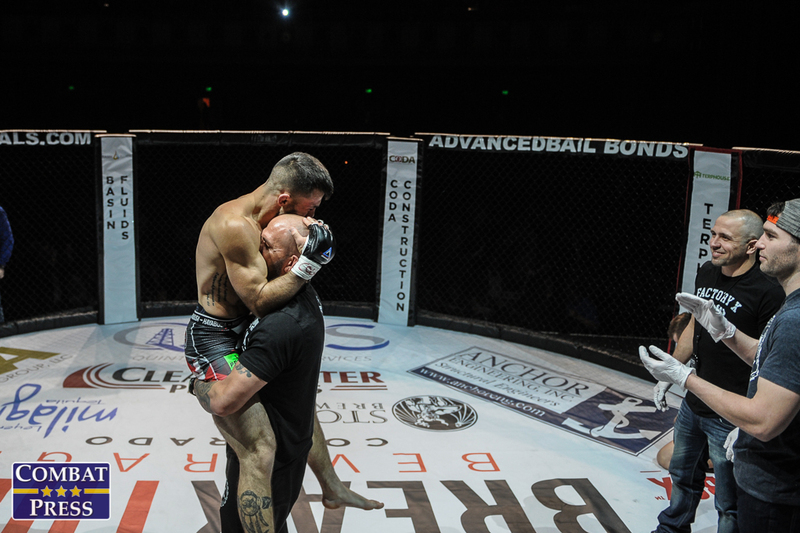 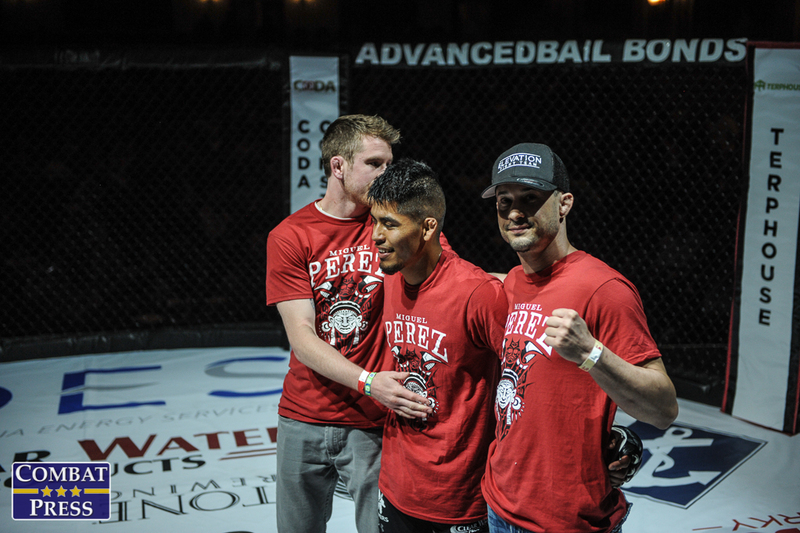 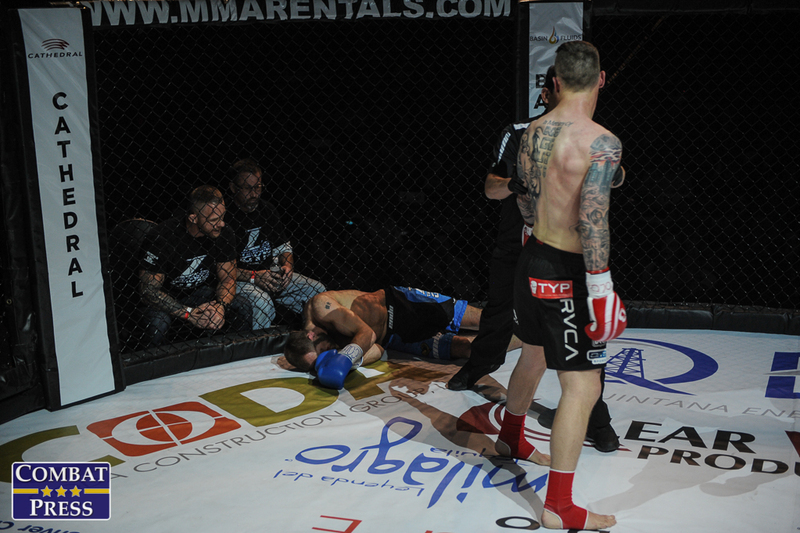 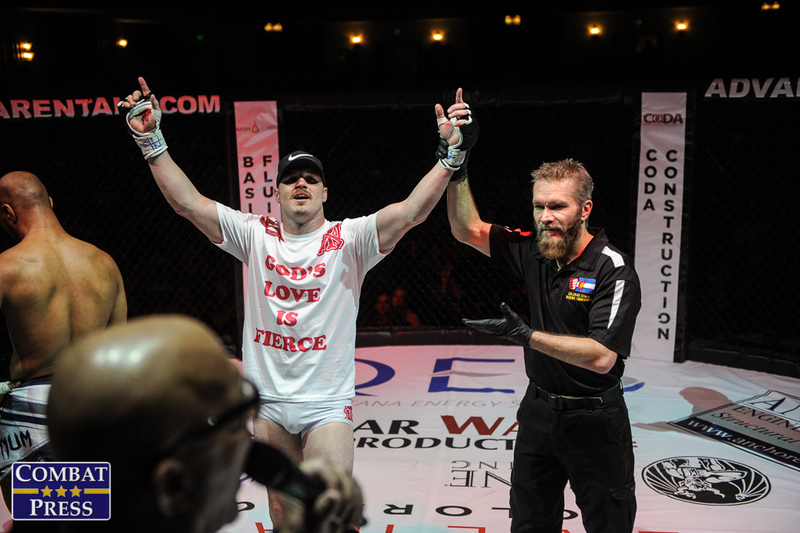 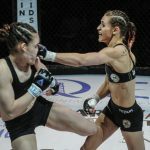 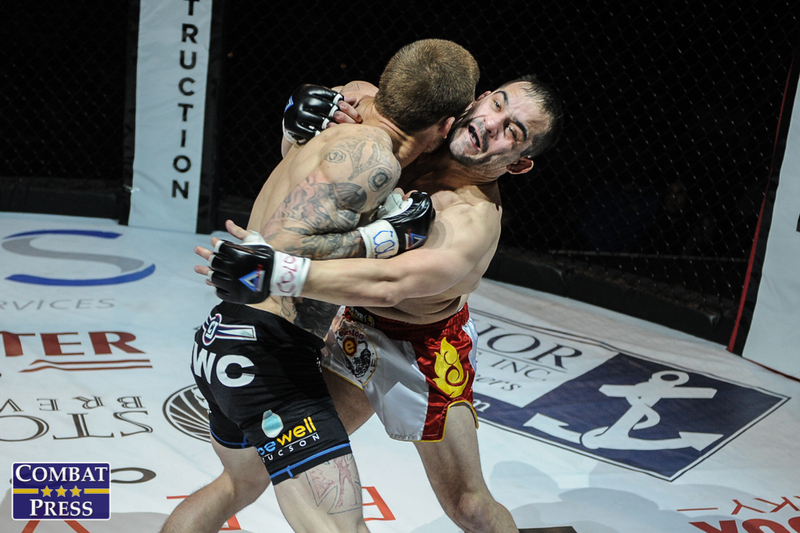 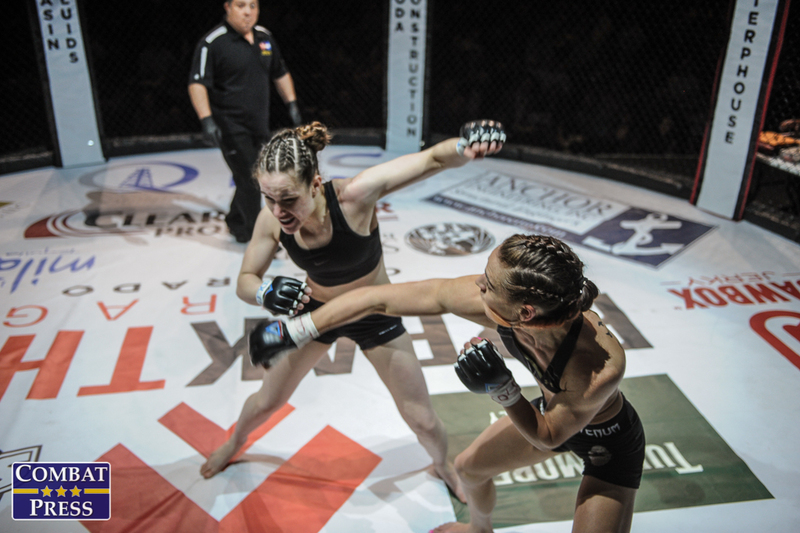 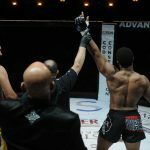 On Friday, March 24, Paramount MMA returned to the Paramount Theatre in Denver for its seventh event. 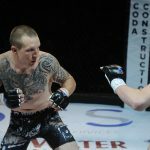 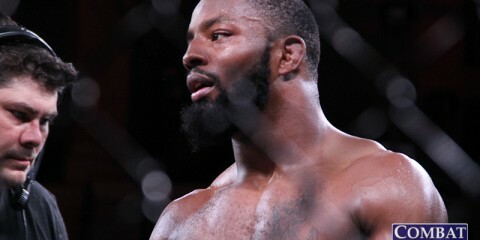 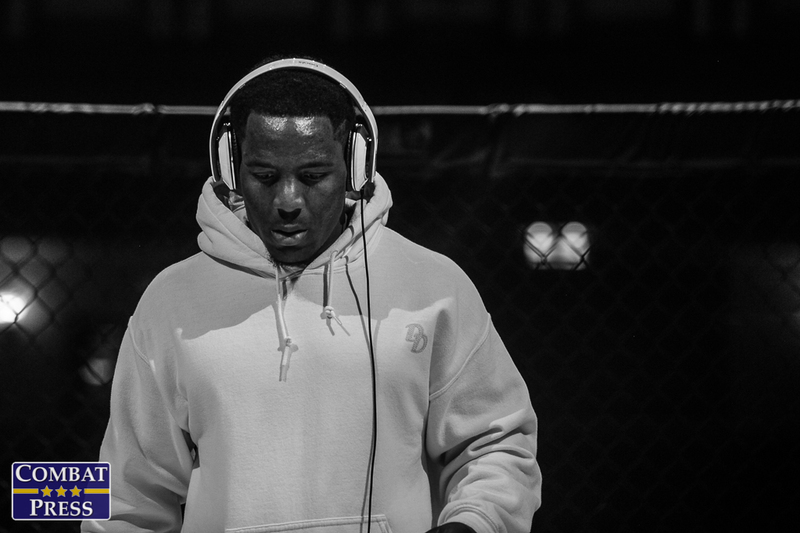 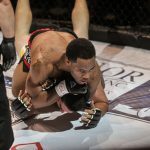 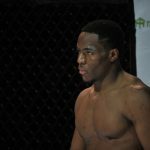 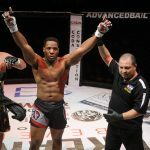 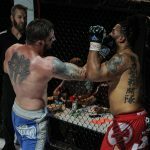 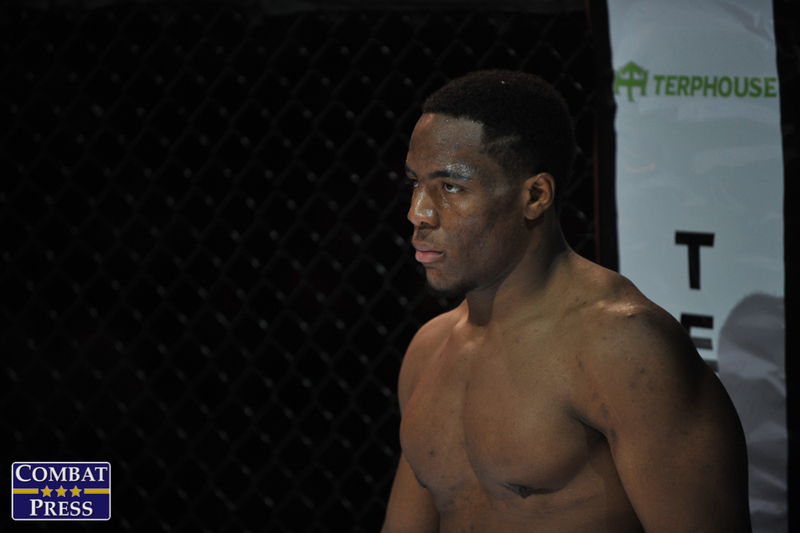 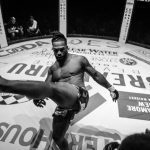 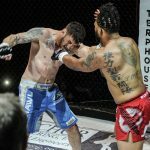 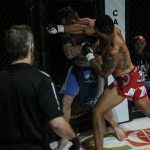 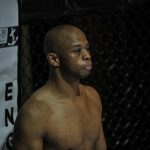 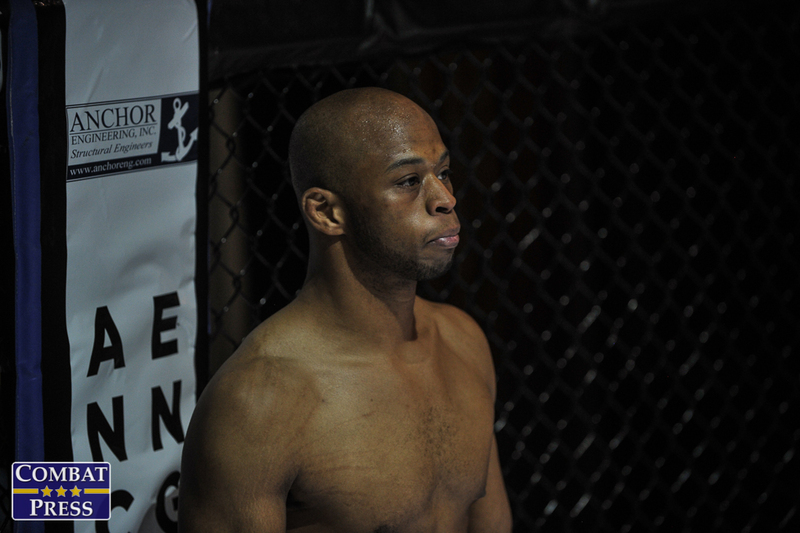 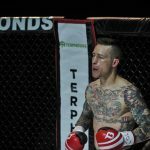 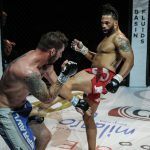 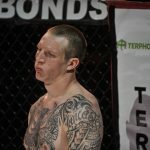 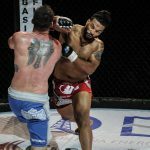 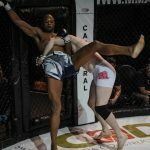 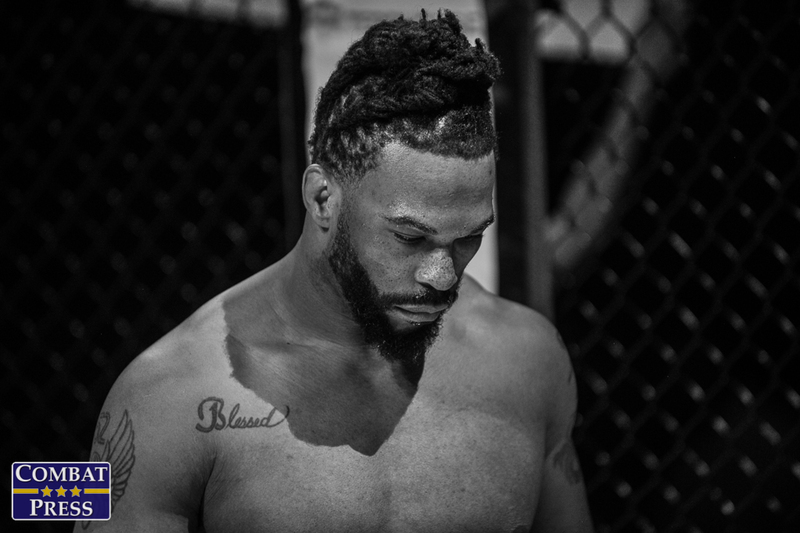 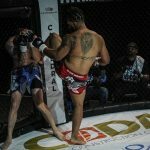 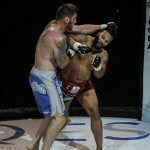 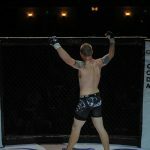 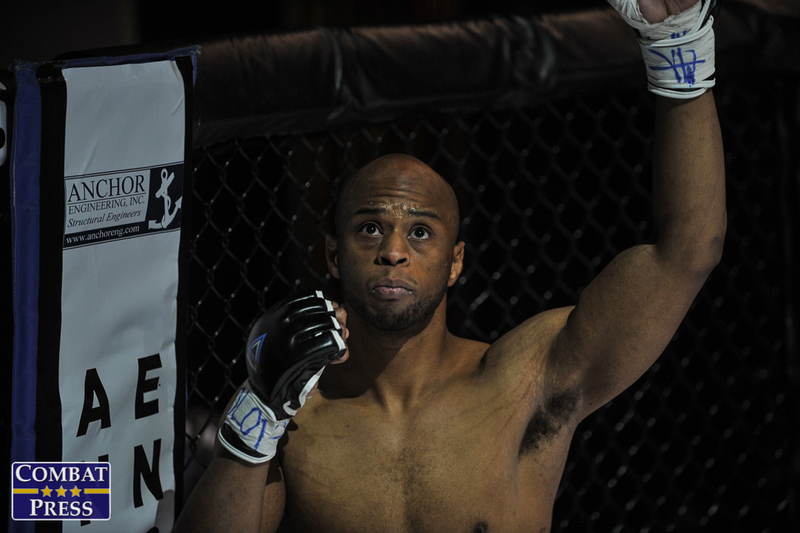 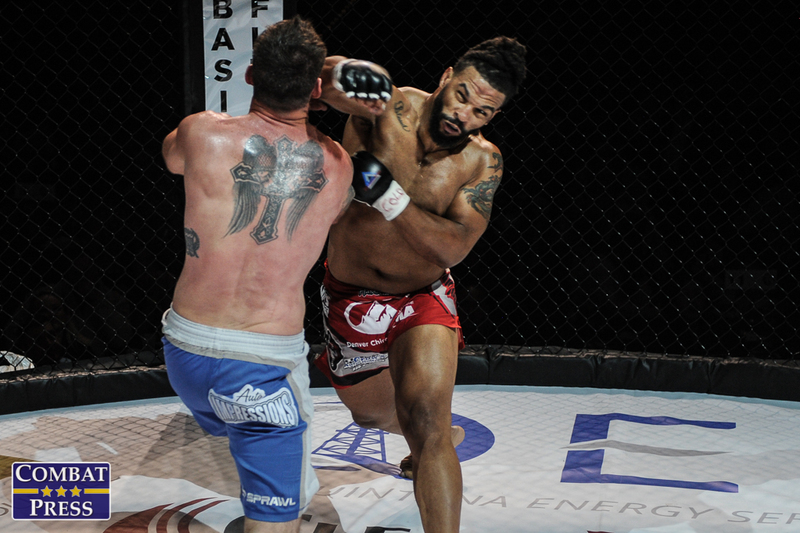 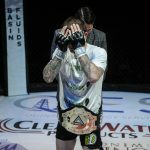 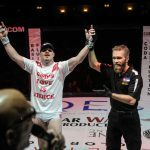 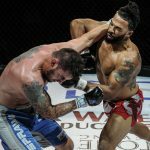 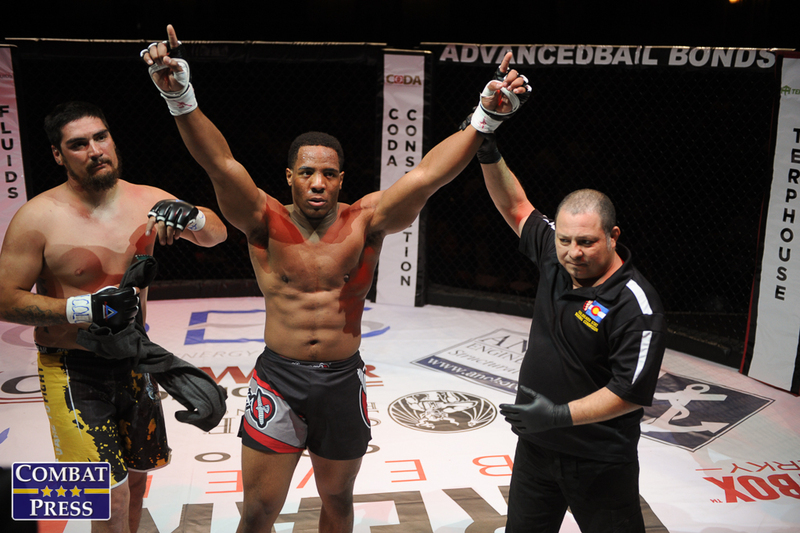 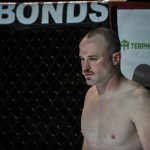 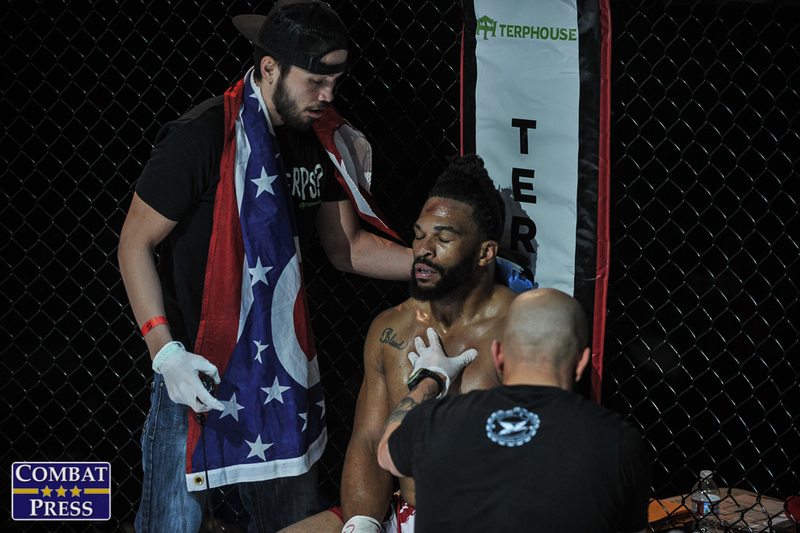 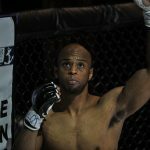 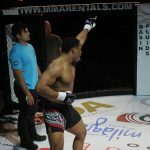 In the night’s main event, Strikeforce and Bellator MMA veteran Brian Rogers competed in his adopted hometown against Canaan Grigsby. 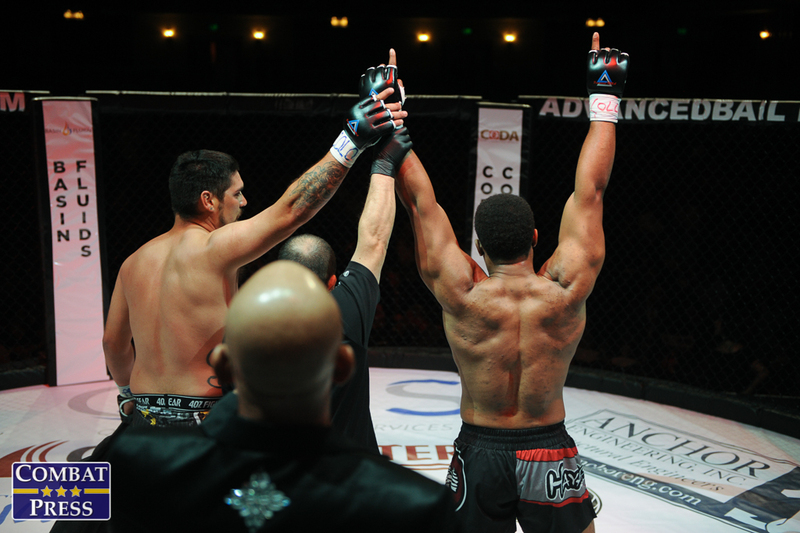 The match-up was for the promotion’s light heavyweight title. 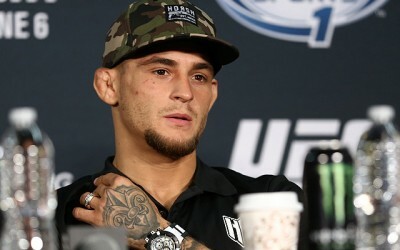 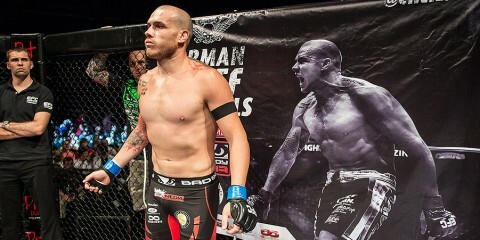 Rogers entered the contest on the heels of a first-round destruction of Lewis Rumsey in January. 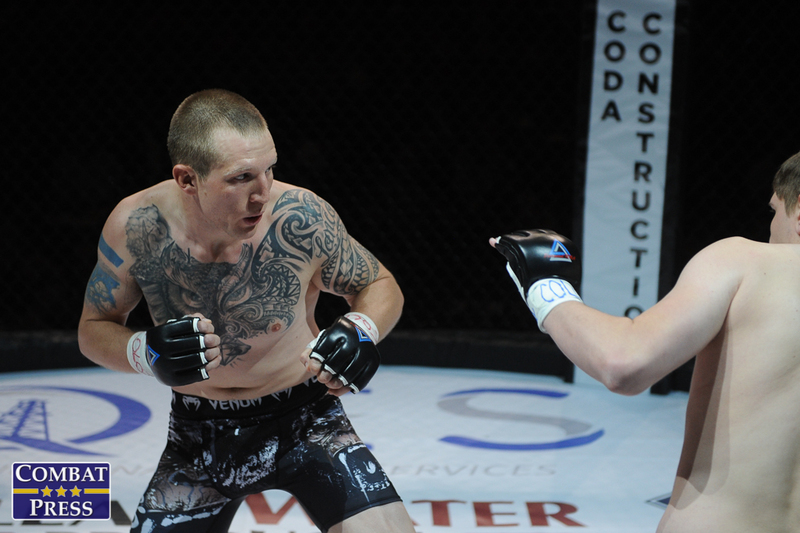 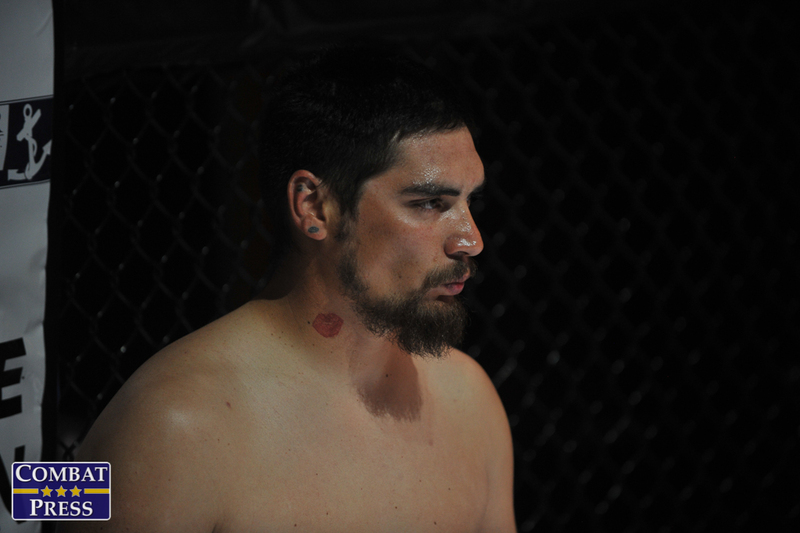 Grigsby was also coming off a first-round finish, having stopped Bill Smallwood at Legacy 63 in December. 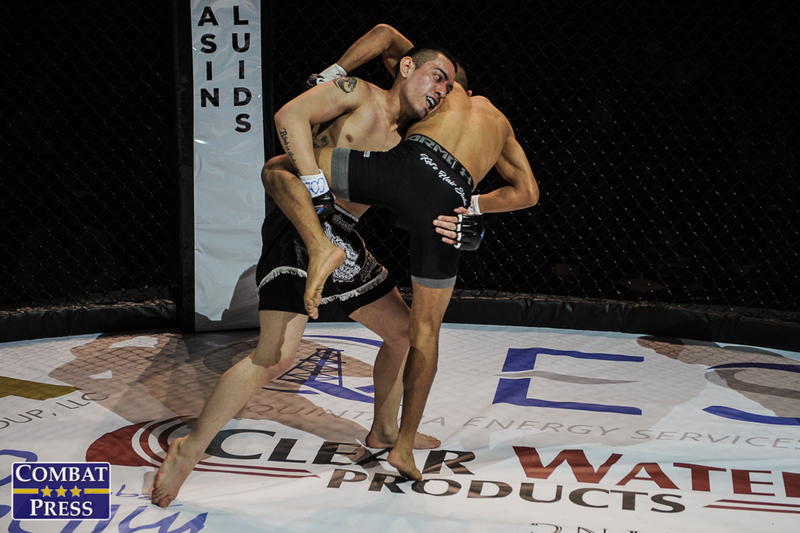 The co-main event also featured gold on the line as Denver’s Jarred Mercado took on Nick Rhoads. 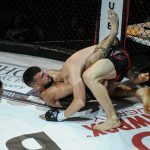 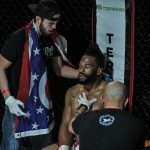 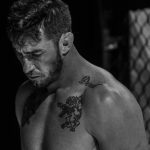 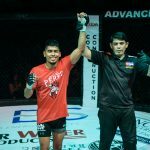 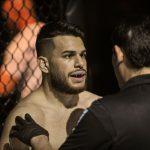 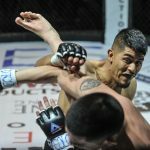 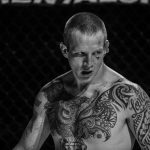 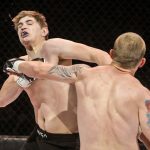 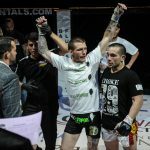 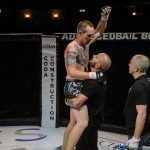 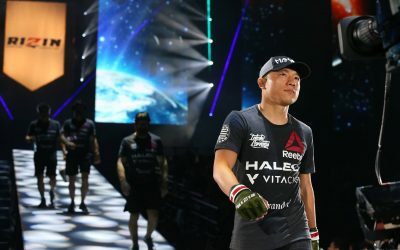 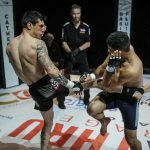 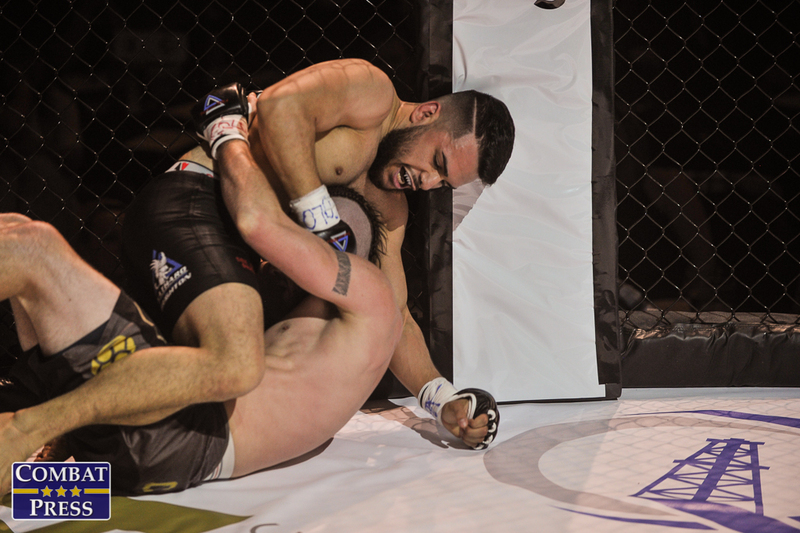 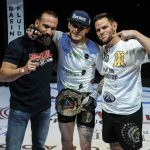 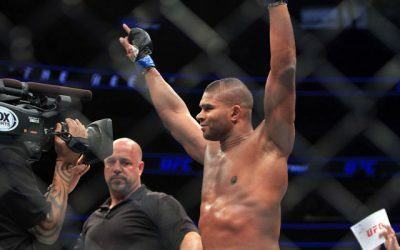 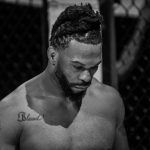 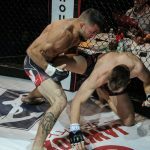 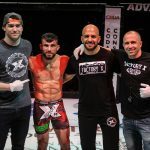 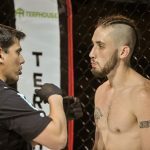 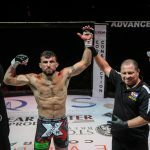 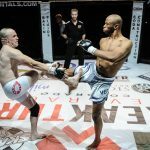 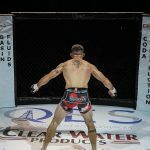 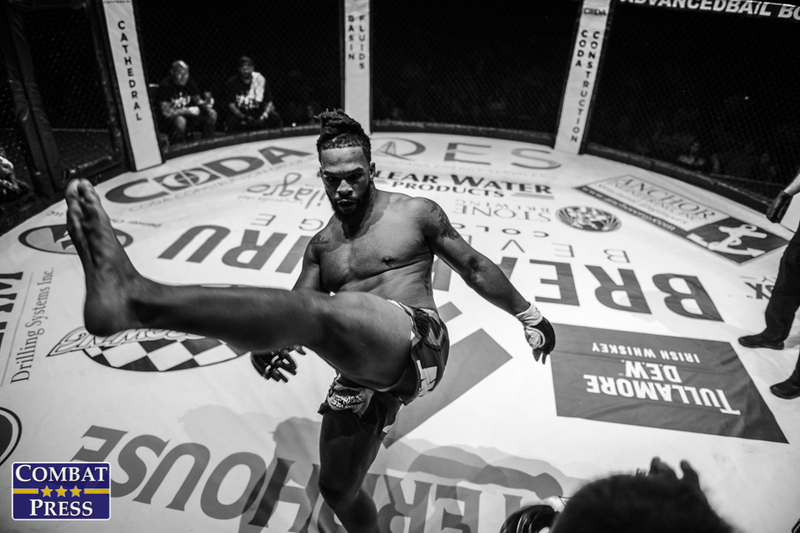 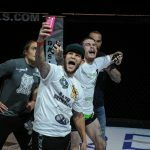 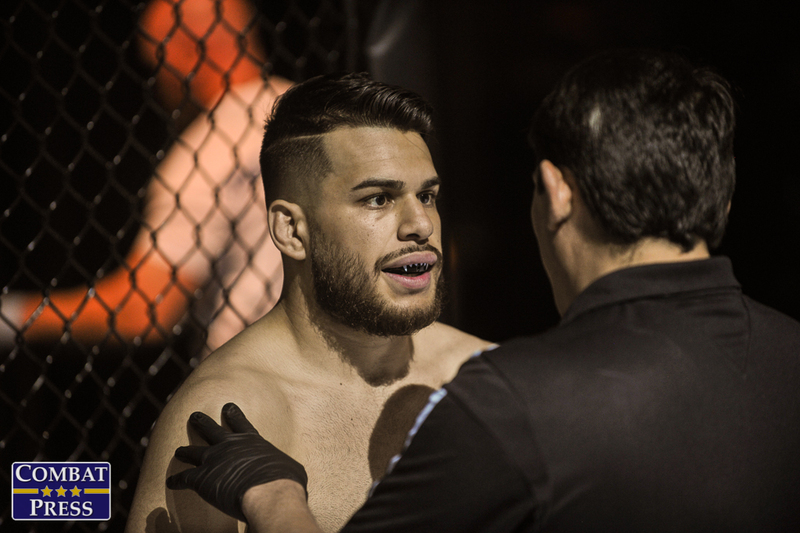 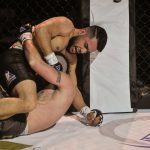 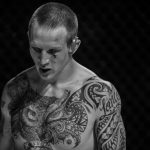 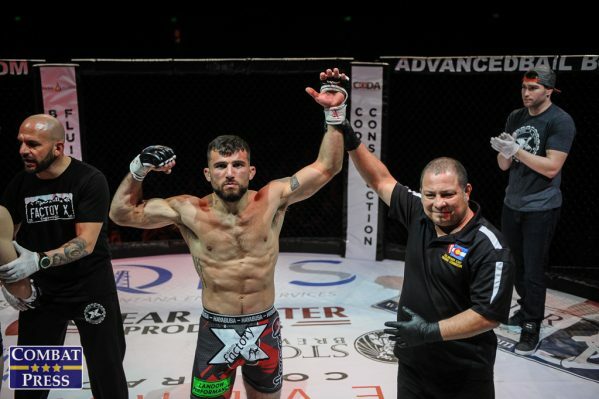 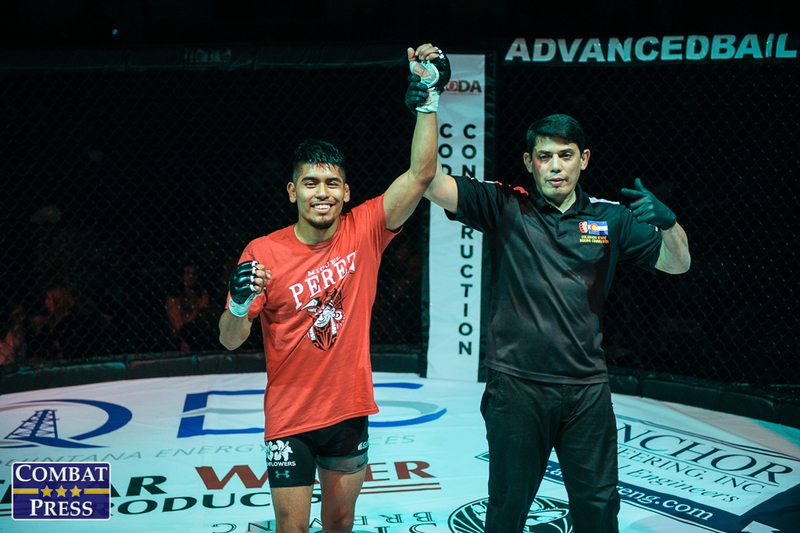 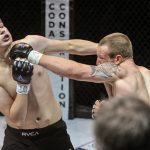 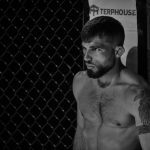 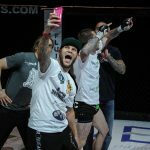 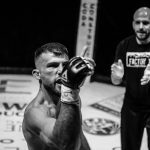 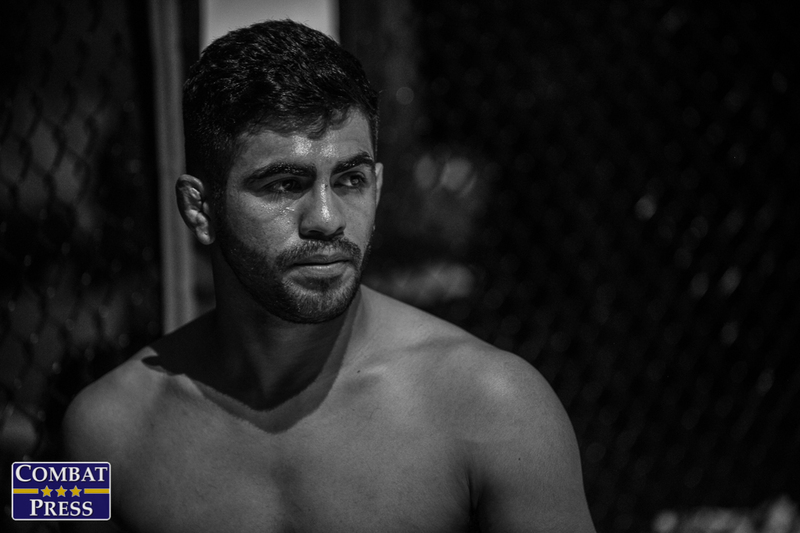 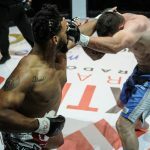 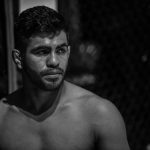 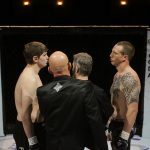 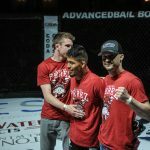 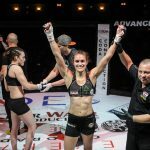 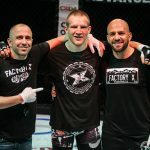 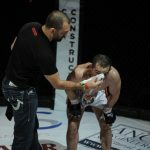 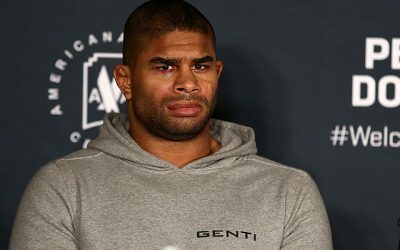 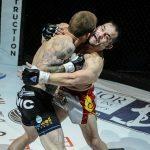 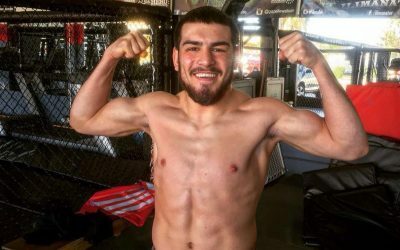 Mercado was looking to bounce back from a fourth-round submission loss to Alexandre Pimentel at Victory FC 50 last year, while Rhoads hoped to build on his submission win over Kurt Southern last spring. 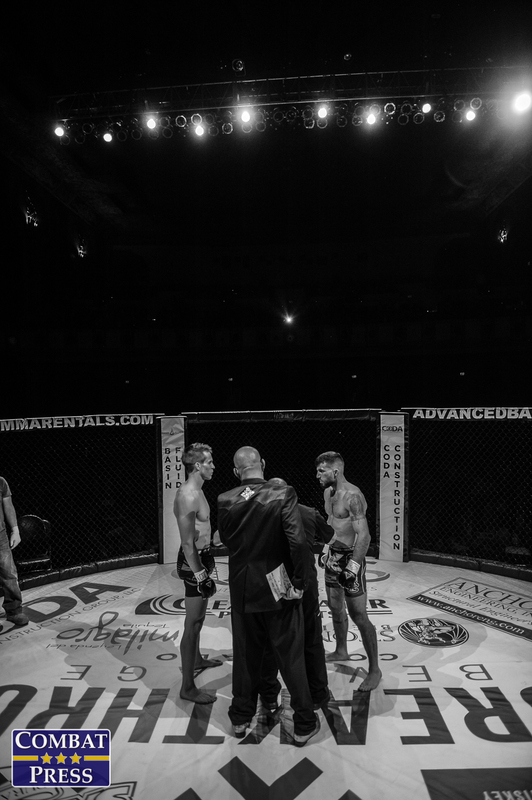 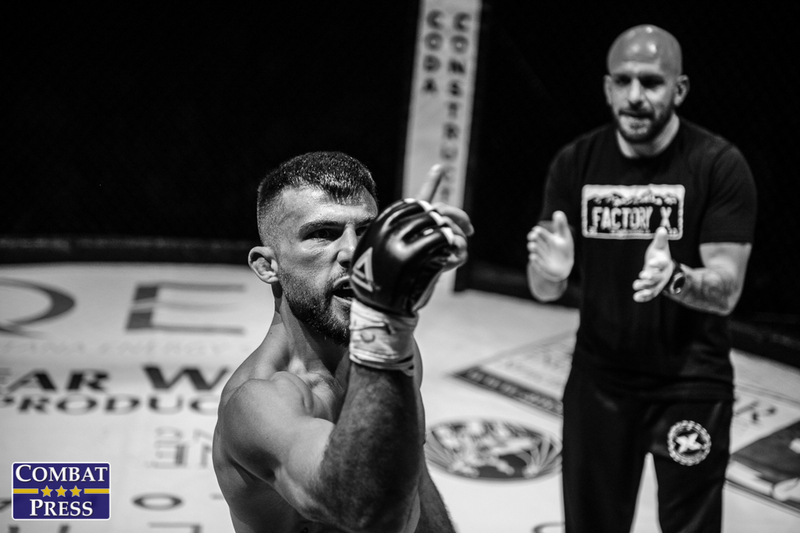 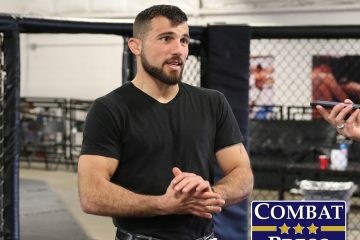 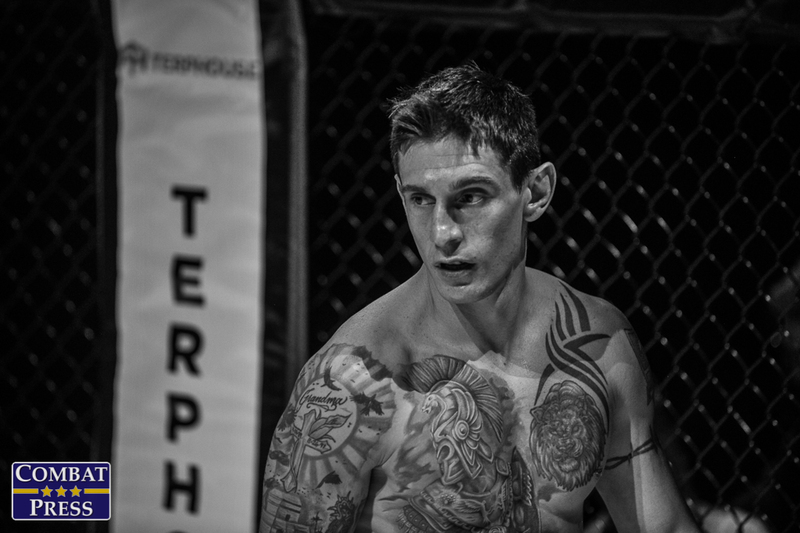 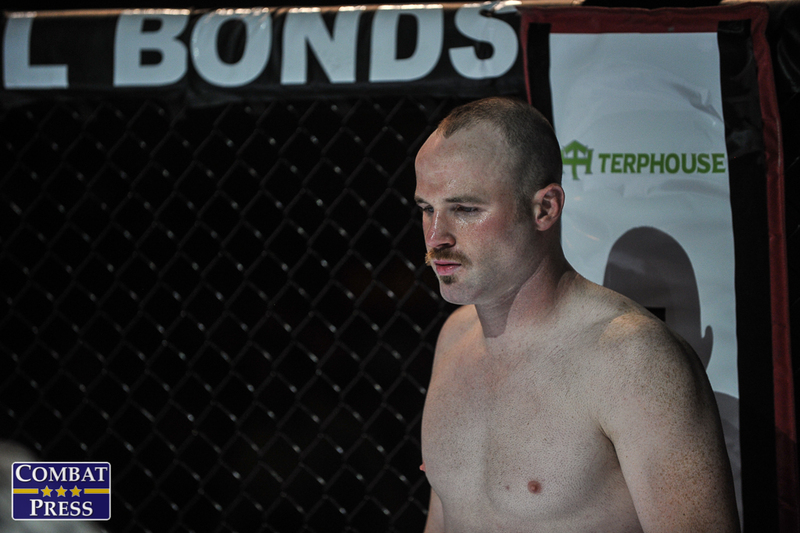 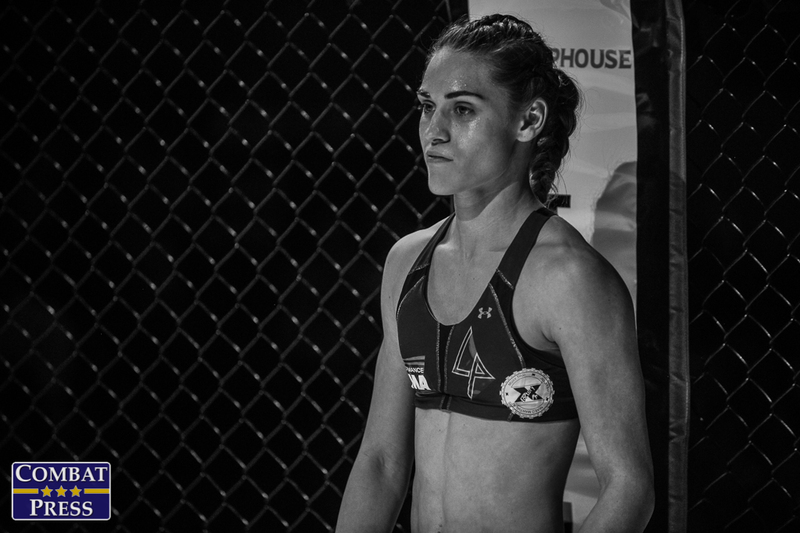 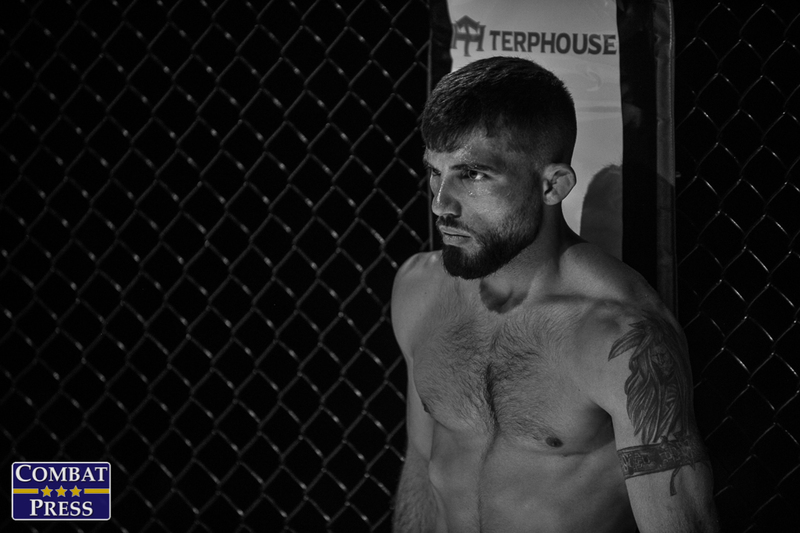 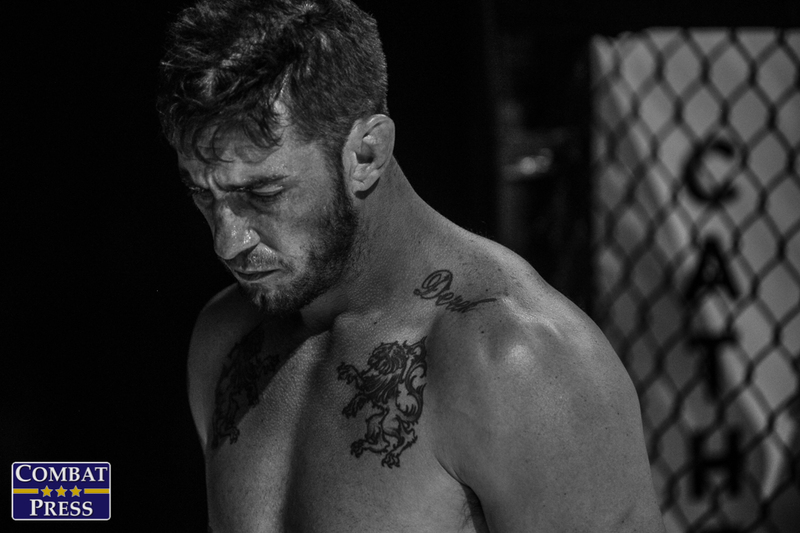 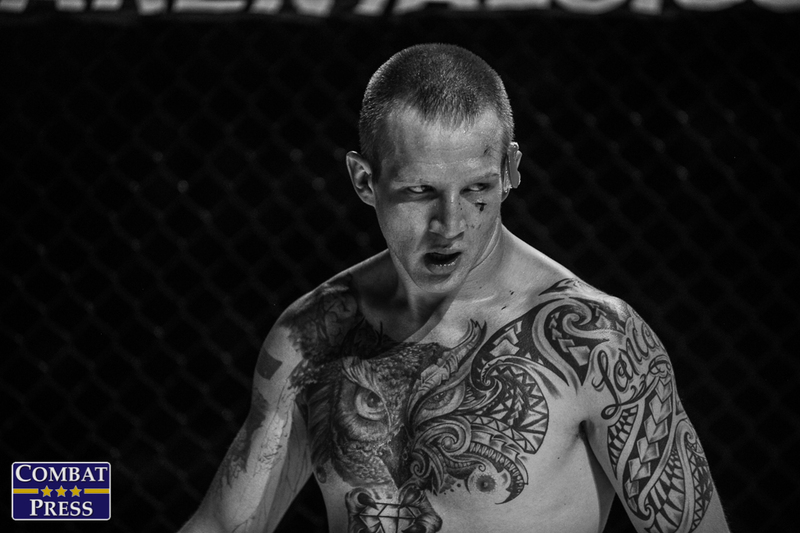 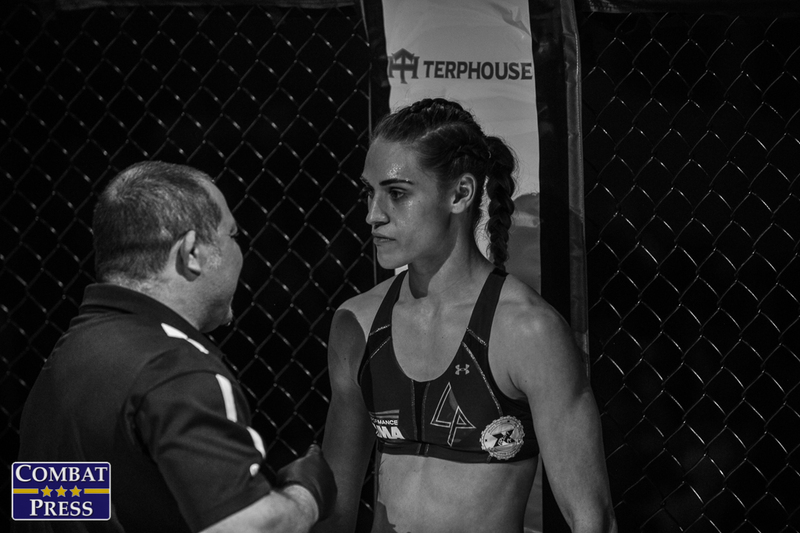 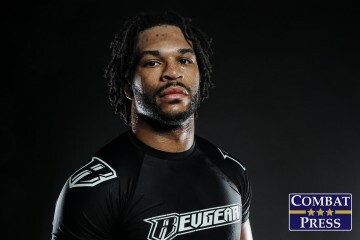 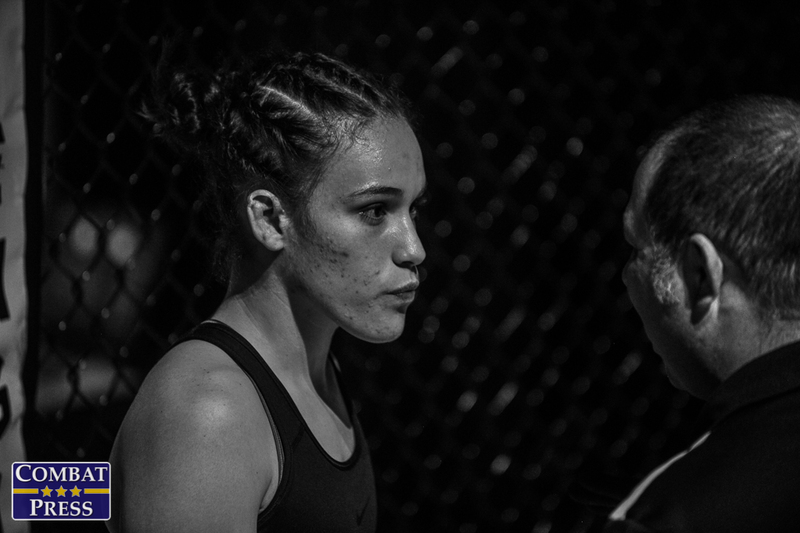 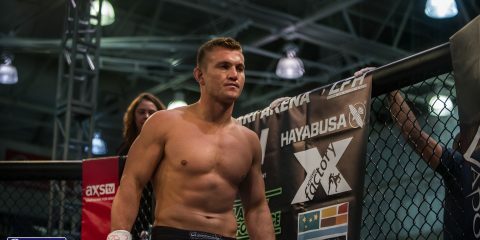 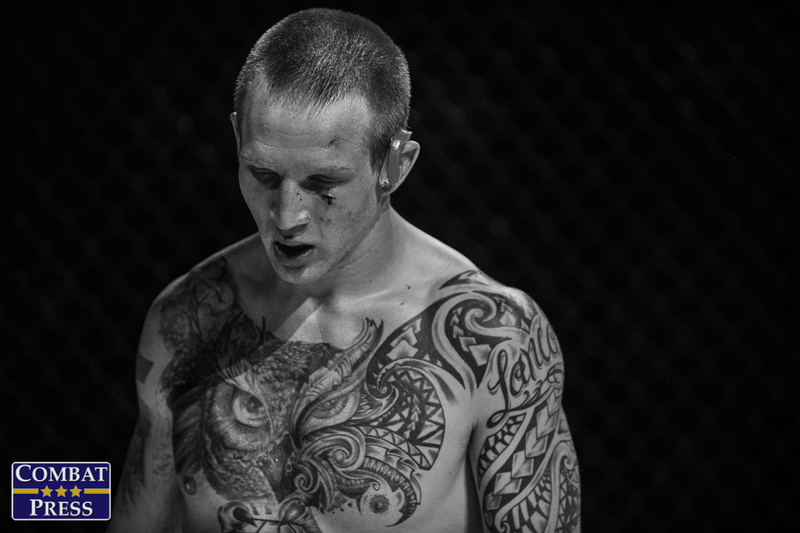 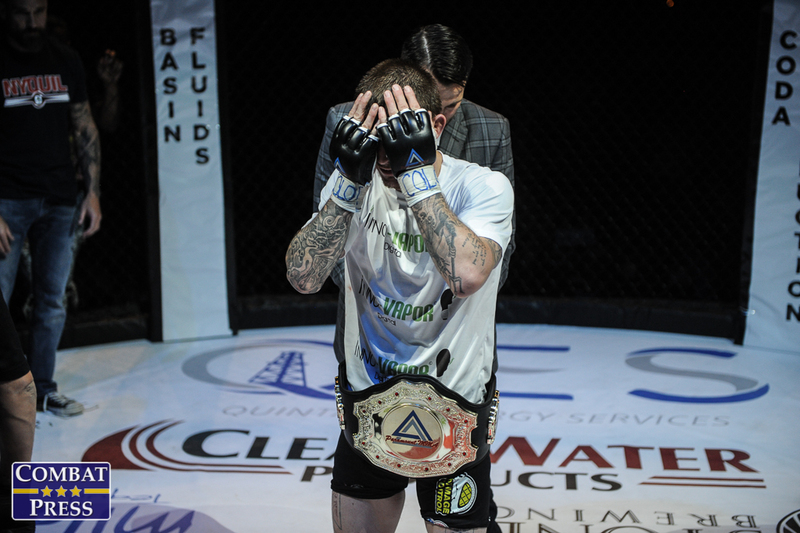 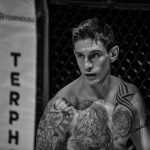 Below is photo gallery shot by Phil Lambert for Combat Press. 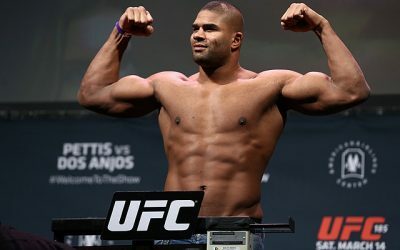 Click an image for a larger verson.